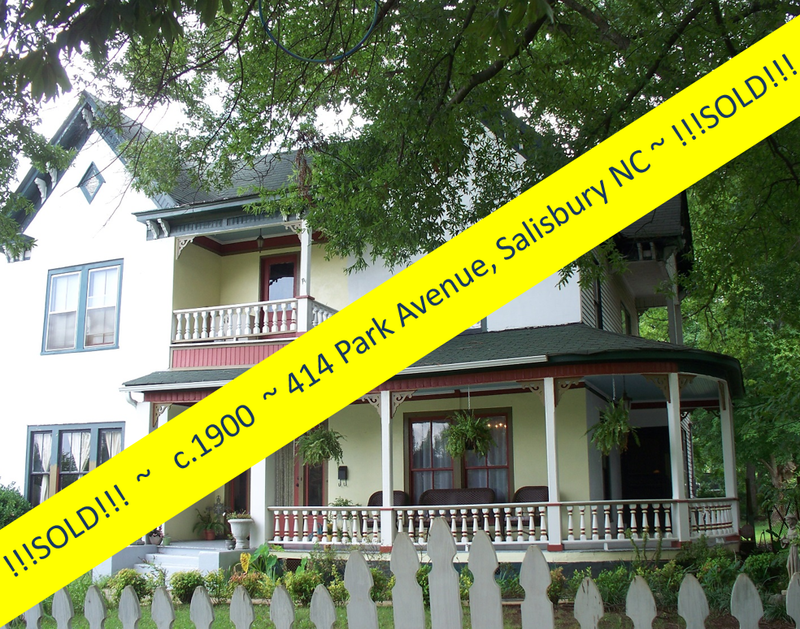 Your Opportunity to Have a Home on the Lake ~ & Be a Gentleman Farmer ~ Just Got Better! Is it a spacious home or is it a farmette? 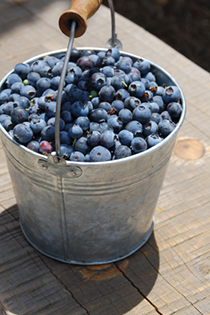 Is it peaceful lakefront property or is it a revenue producing blueberry farm? 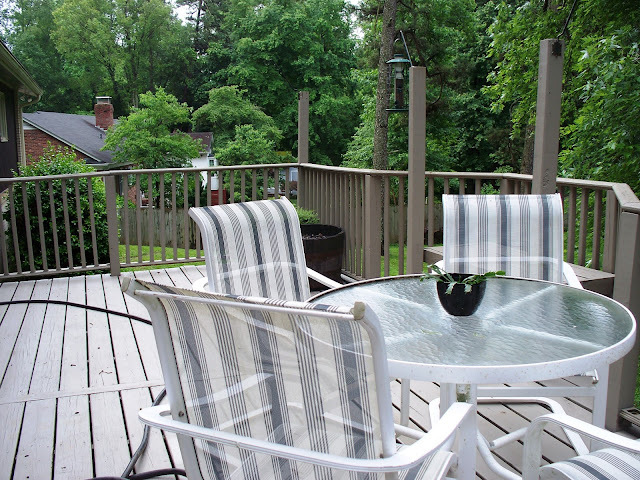 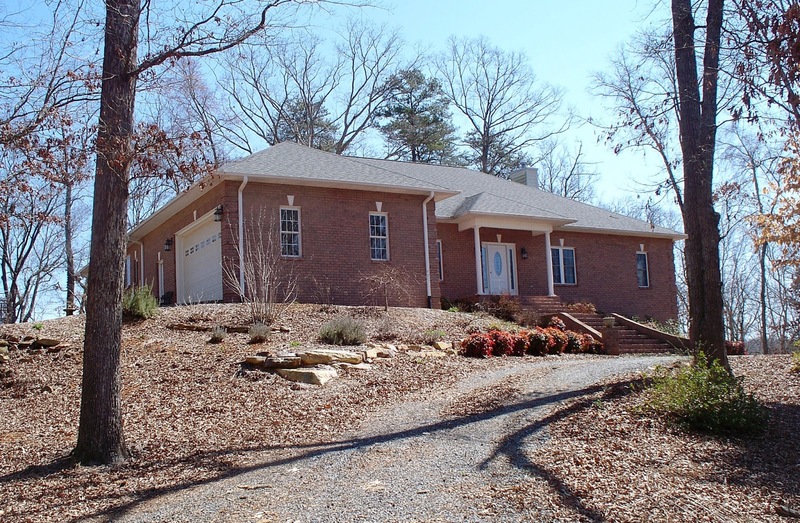 Is it ultimate privacy on 65 acres or is is close to town and community amenities? 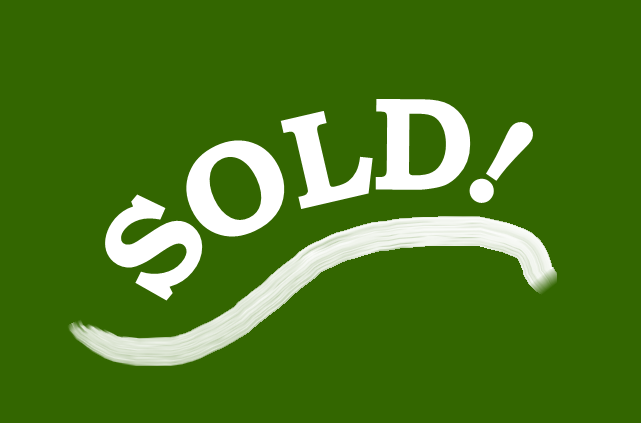 The answer is, unequivocally, YES!!! 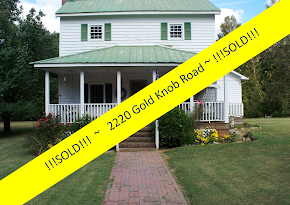 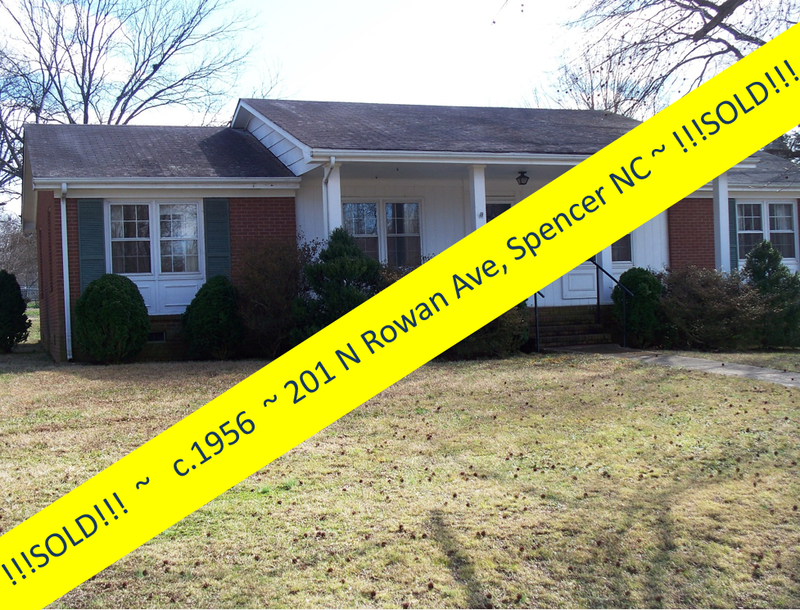 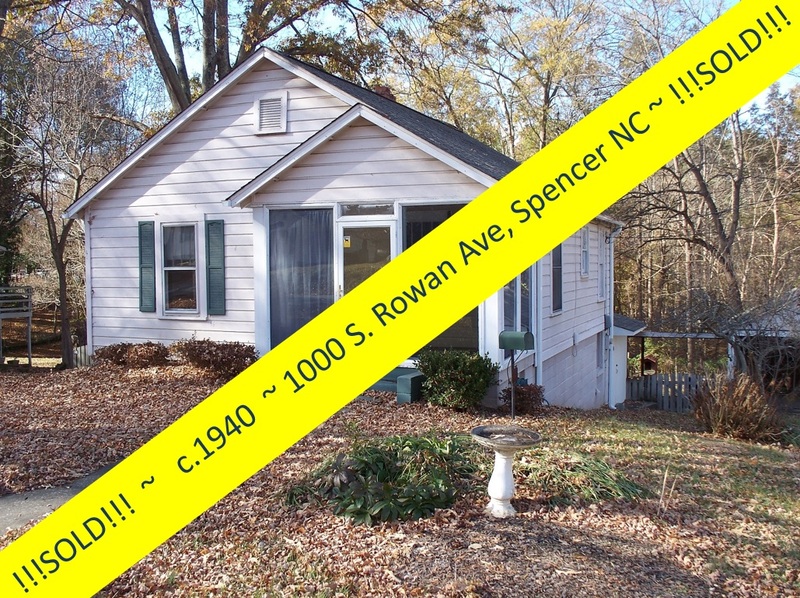 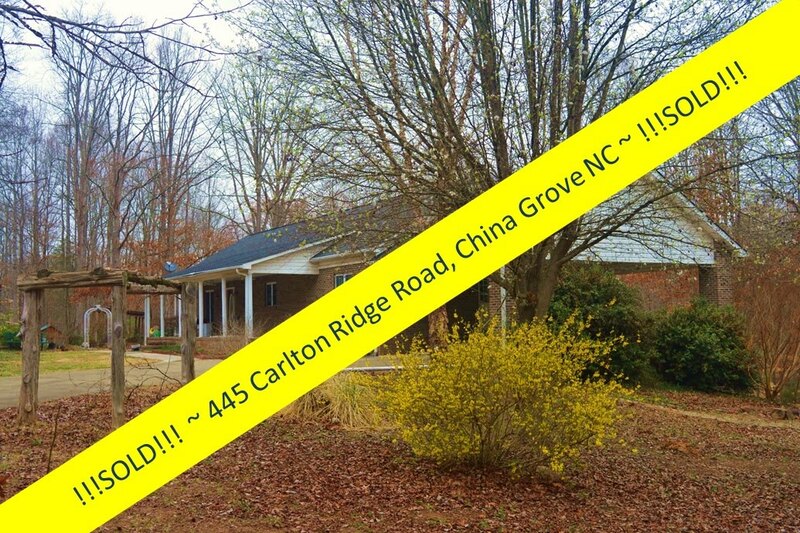 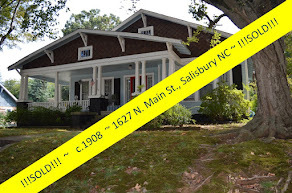 2275 RIVER ROAD Richfield, NC is all of these ~ one of the most unique properties you'll find in North Carolina! This ultra-private 3200 sq ft home ~ not a neighbor in sight ~ offers 2000’ of dramatic, panoramic, waterfront views. 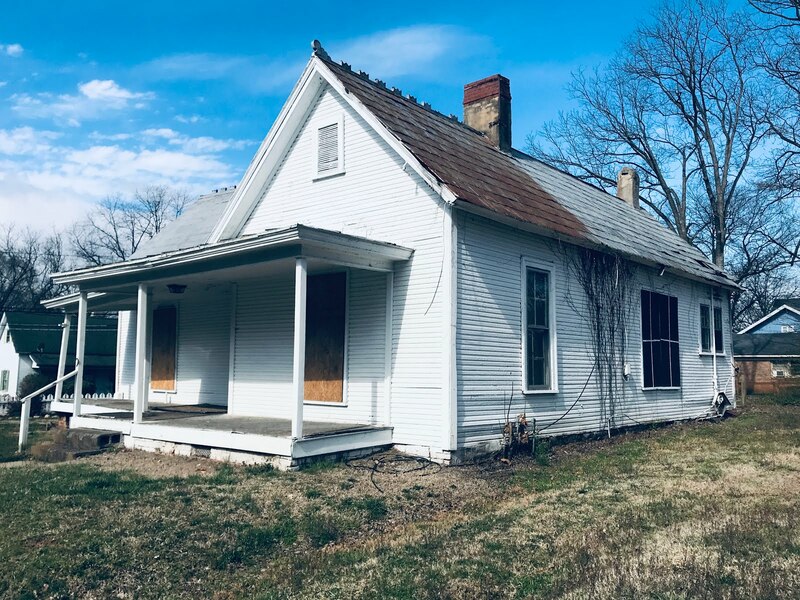 With 65 acres to roam and explore, you won't find a more remote and relaxing home where just outside the door nature awaits. 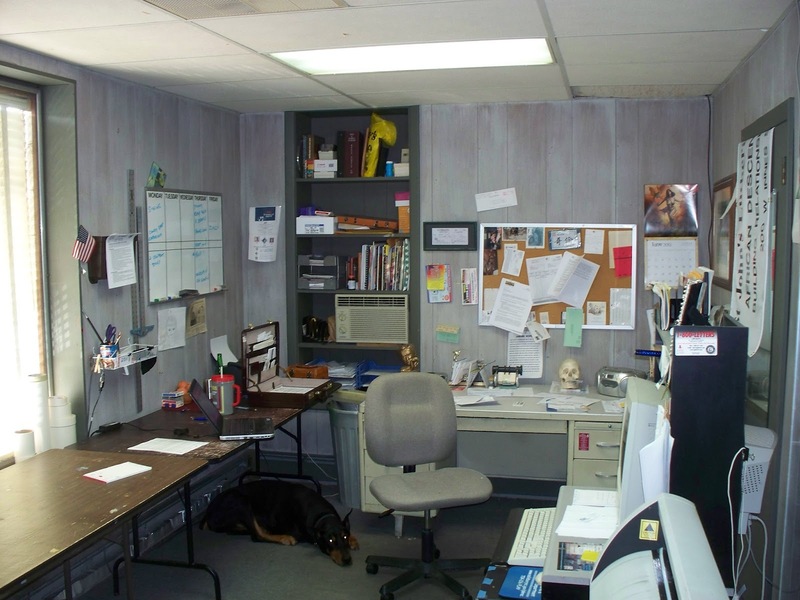 What is even better than this? 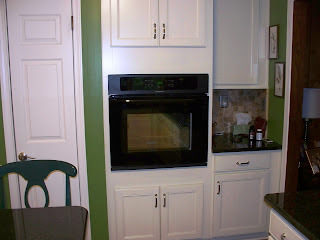 entire kitchen space an expansive 14’ x 29’! 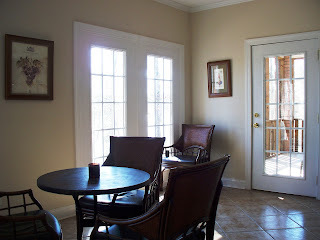 A double set of French doors take you to an enclosed sunroom. More French doors take you from the sunroom to an outdoor patio space perfect for entertaining or just kicking back and taking in vistas of woods and water. 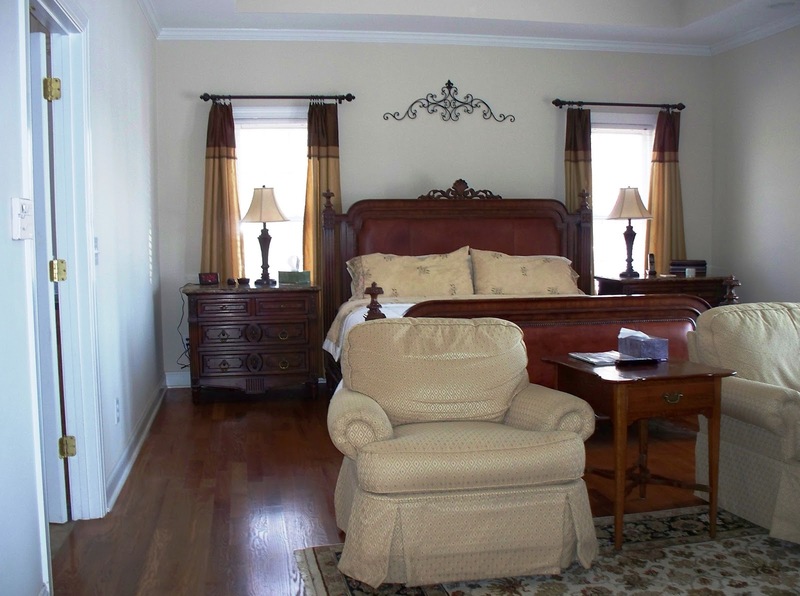 The spacious nearly 13’ x 16’ master suite is to die for ~ with its gas-log fireplace, his-&-hers walk-in closets, and beautiful hardwood floors. 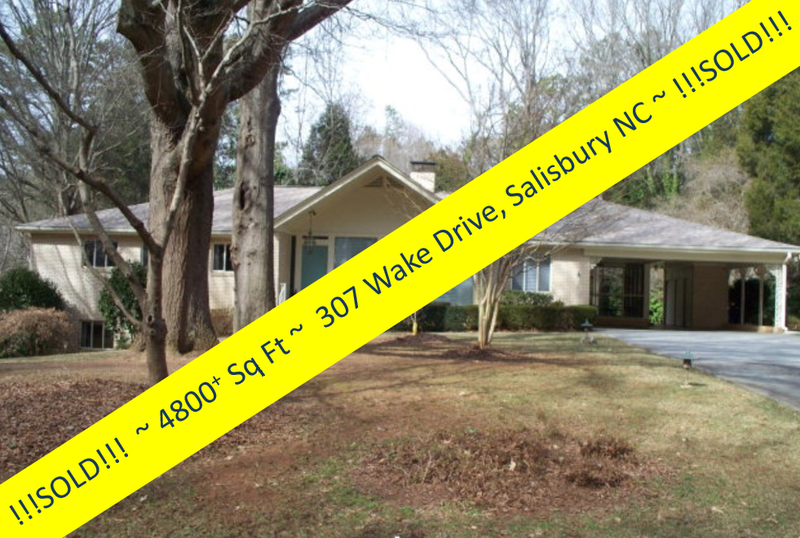 The over-sized master bathroom has to be seen to be believed ~ outfitted with a glorious tiled whirlpool tub and large walk-in tiled shower, dual vanities, and even privately walled dual commodes. 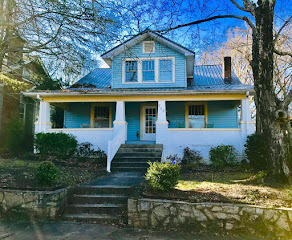 The pièce de résistance for the 'gentleman-farmer' in you...2275 River Road's vista of open countryside includes a one-acre blueberry farm with 1000+/- plants. 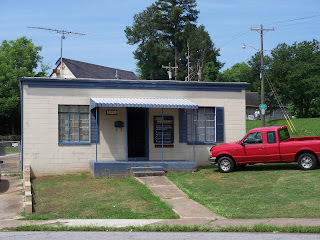 The present owner runs a successful ‘U-Pick’ blueberry business here...and blueberry season is just about here! 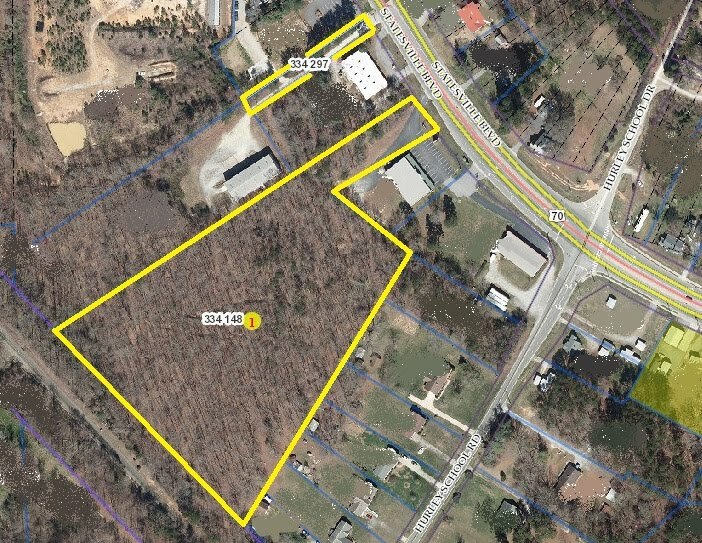 Additionally, much of the acreage is planted with a variety of standing timber, certified as a tree farm, with pines, chestnut trees, and giant mature pecan trees. 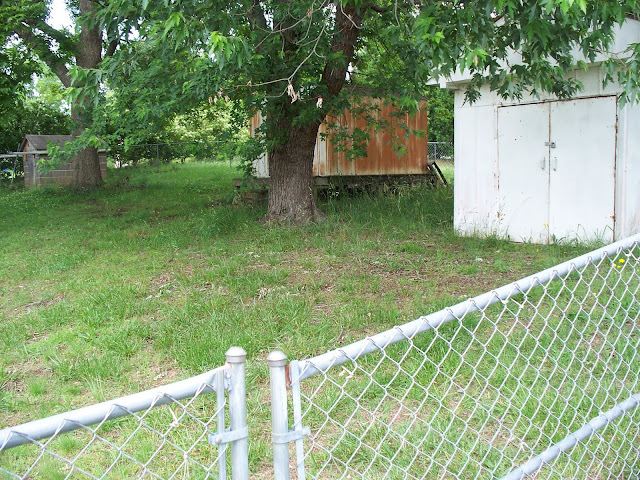 The grounds have 2 large outbuildings: one a long barn, the other a smaller barn-type structure. 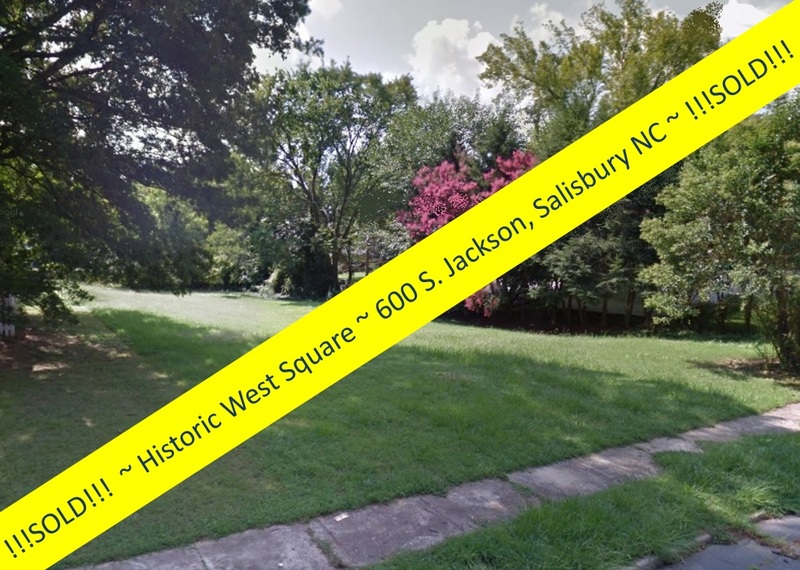 There are beautifully maintained walking trails, wide enough to permit vehicle driving, that surround and intertwine the property that can be used as riding trails for horses (horses permitted here!). 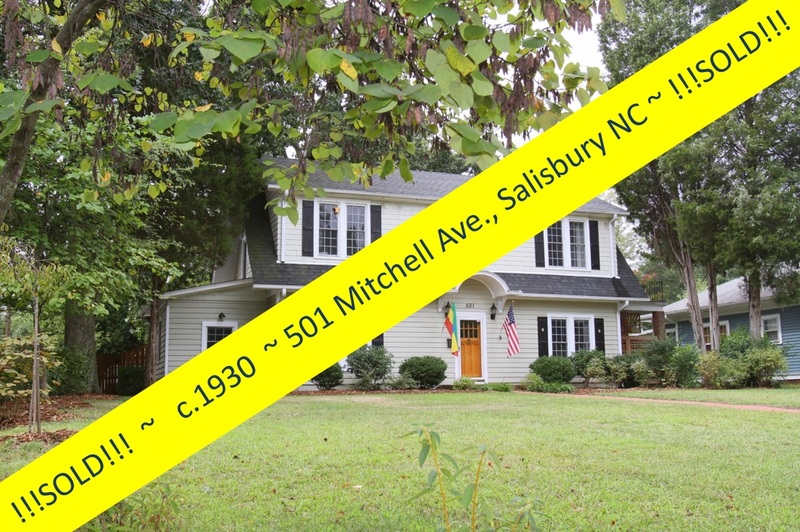 This home and property are perfect for equestrian use, the automobile enthusiast, or the arborist with its outbuildings and tree and blueberry farm. 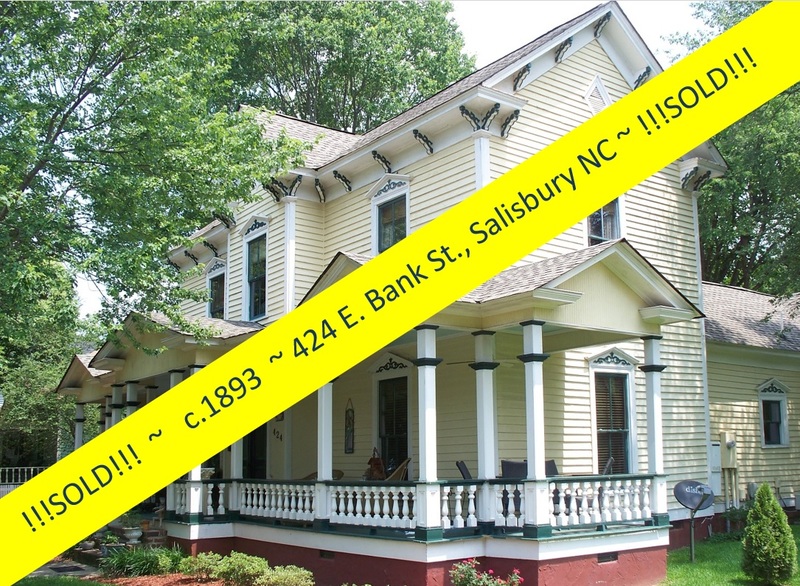 The property currently has farm classification, and more importantly ~ is taxed as a farm, with yearly taxes at just $3192! 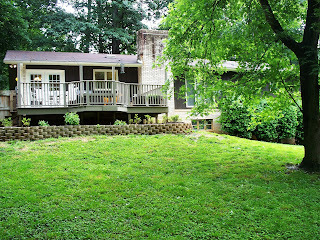 This rare combination of waterfront luxury, privacy, and acreage on Tuckertown Lake does not come along every day ~ and now this opportunity is priced even better! 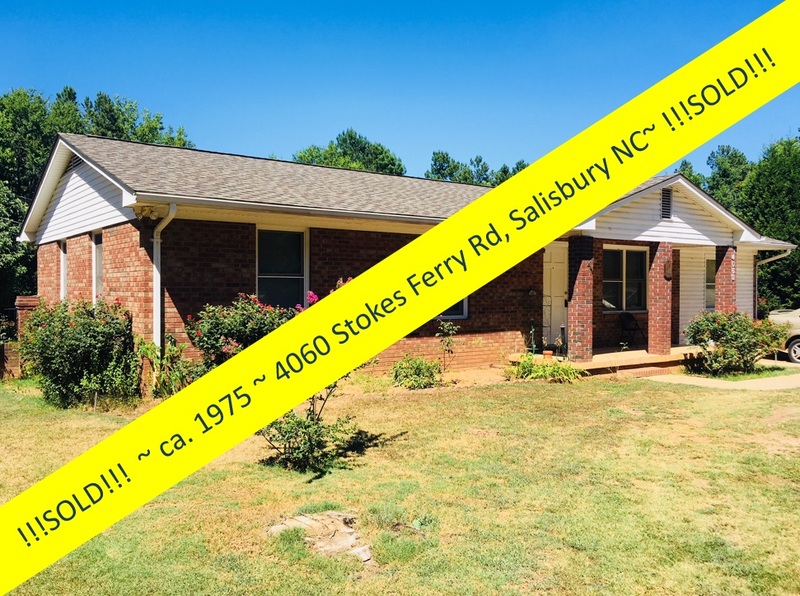 This stunning lake front property at 2275 River Road in Richfield, North Carolina, on 65 acres with over 2000' of Tuckertown Lake water frontage & a private boat ramp, can be yours today. 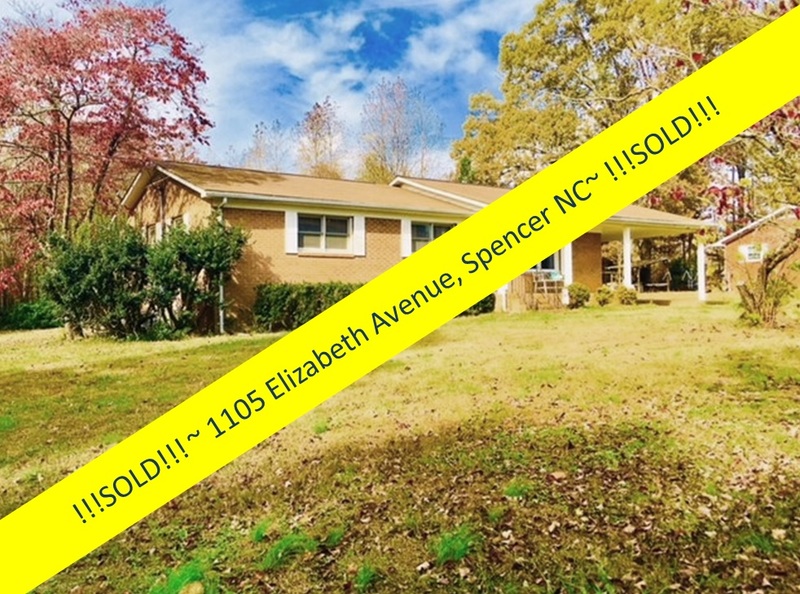 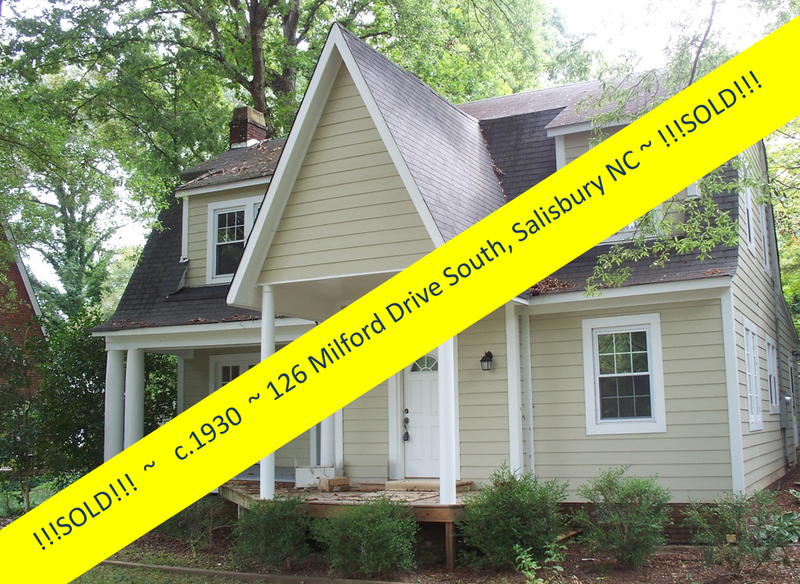 Call Greg Rapp at 704-213-6846 and make an appointment to capture the tranquility of this beautiful home ~ and make it yours!! 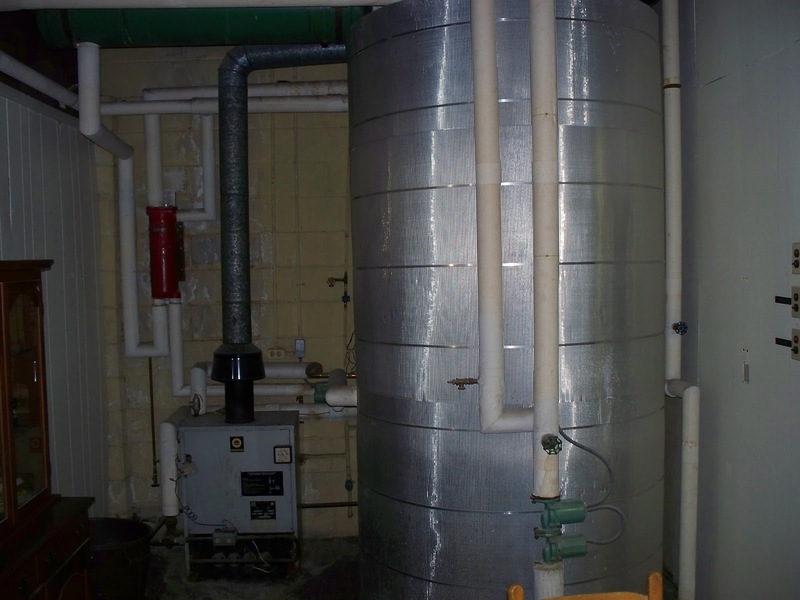 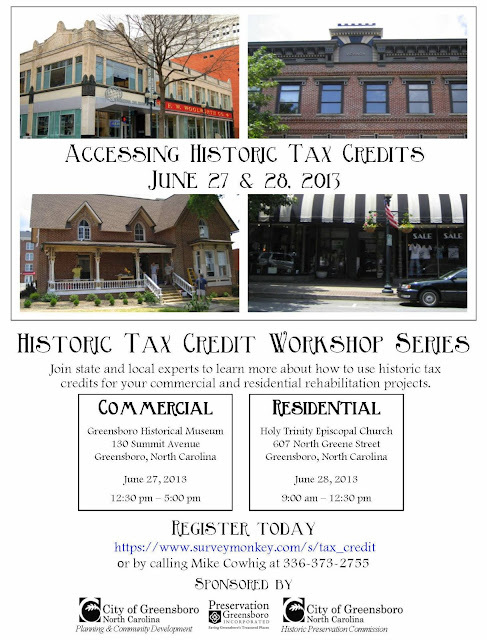 Ever wondered if tax credits could make your preservation dream come true? 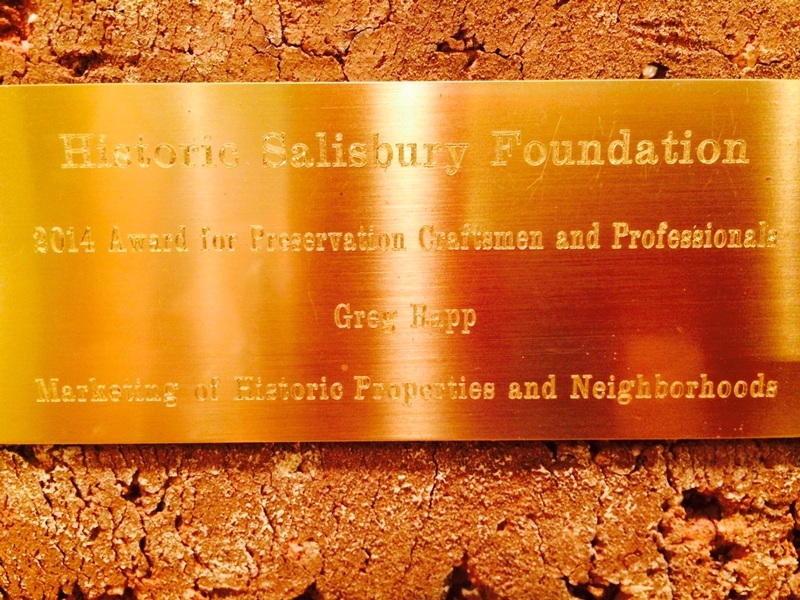 The City of Greensboro, right up the road from Salisbury, North Carolina, and Preservation Greensboro, will be hosting two free workshops on preservation tax credits next week. 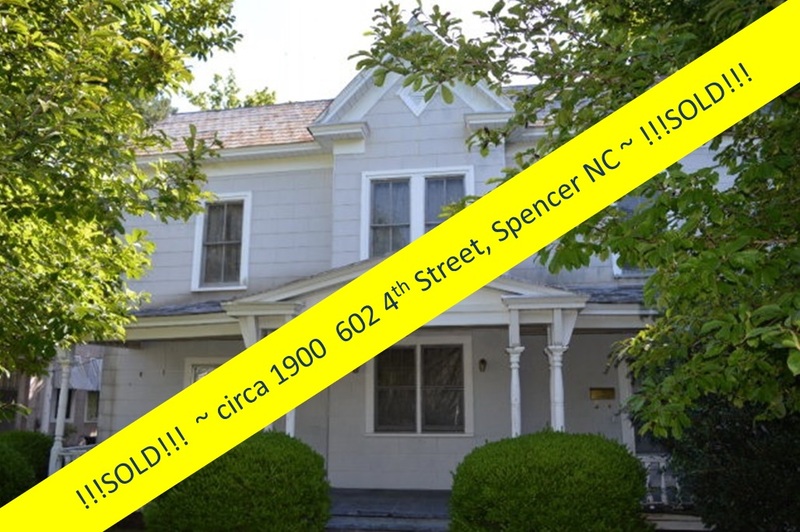 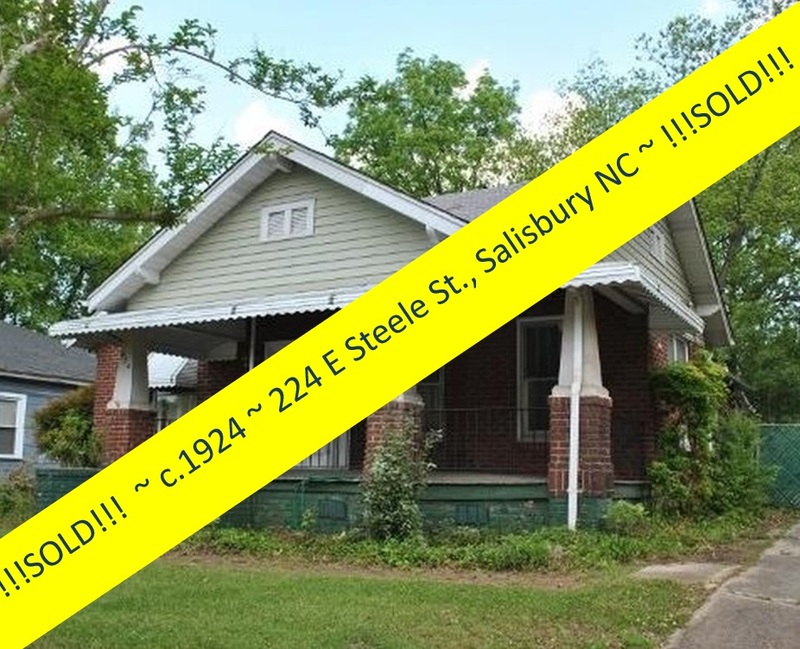 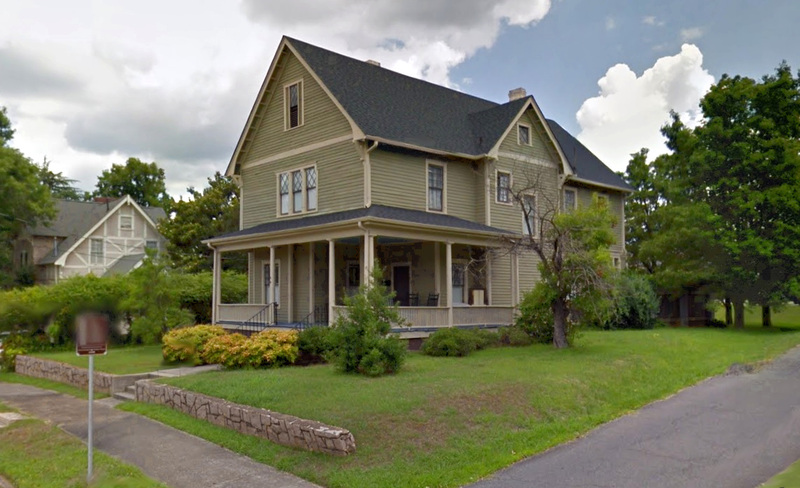 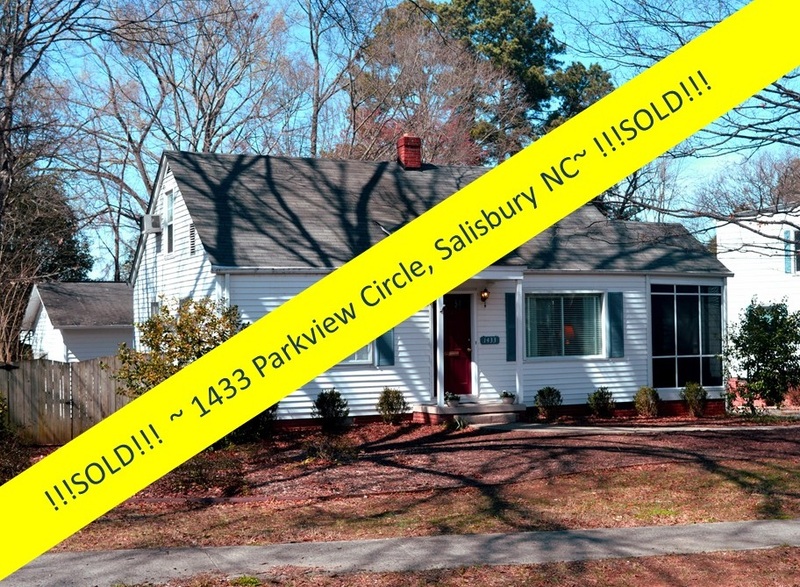 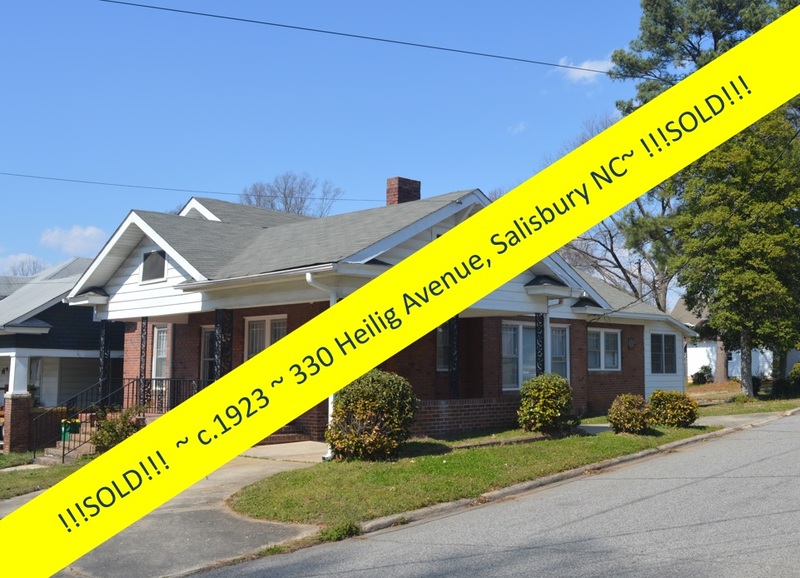 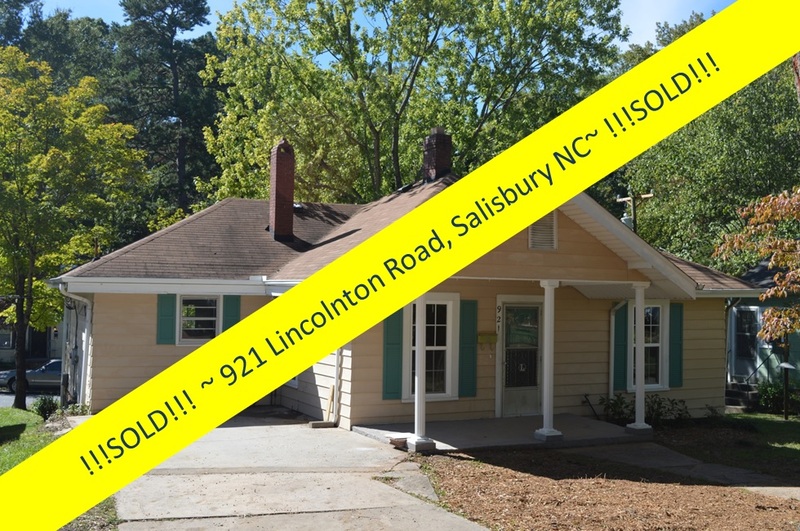 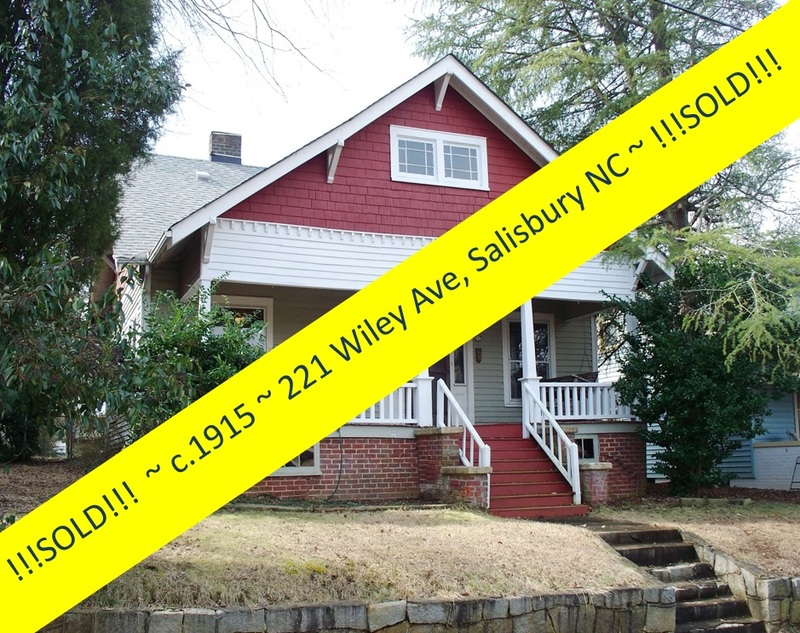 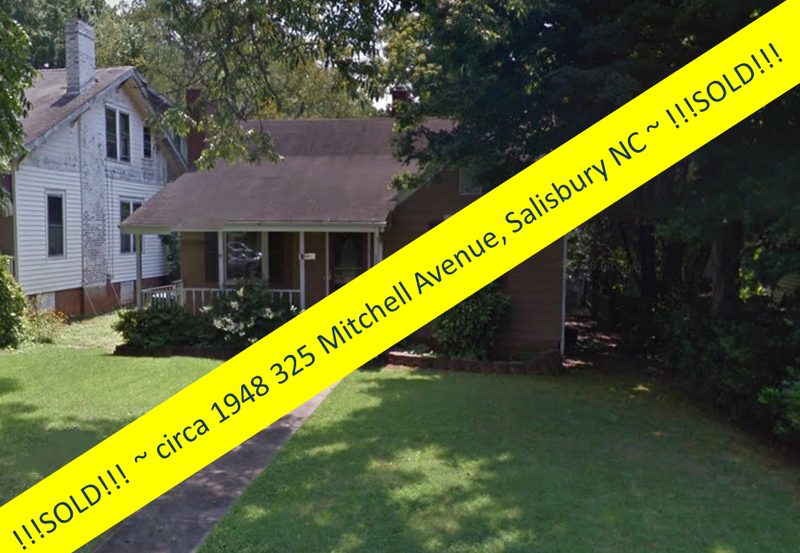 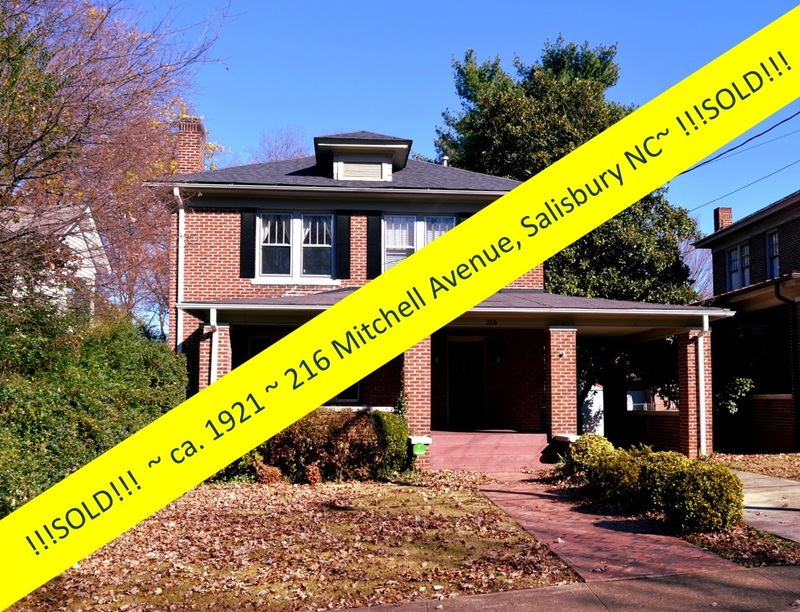 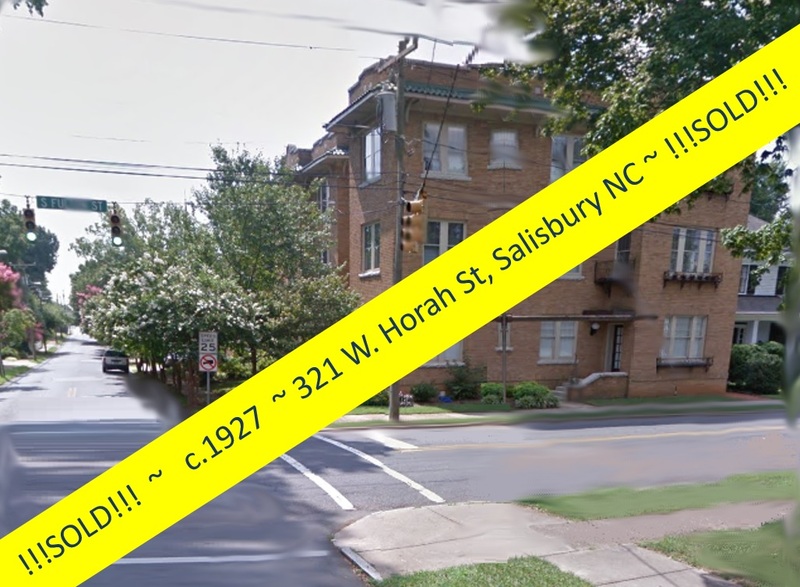 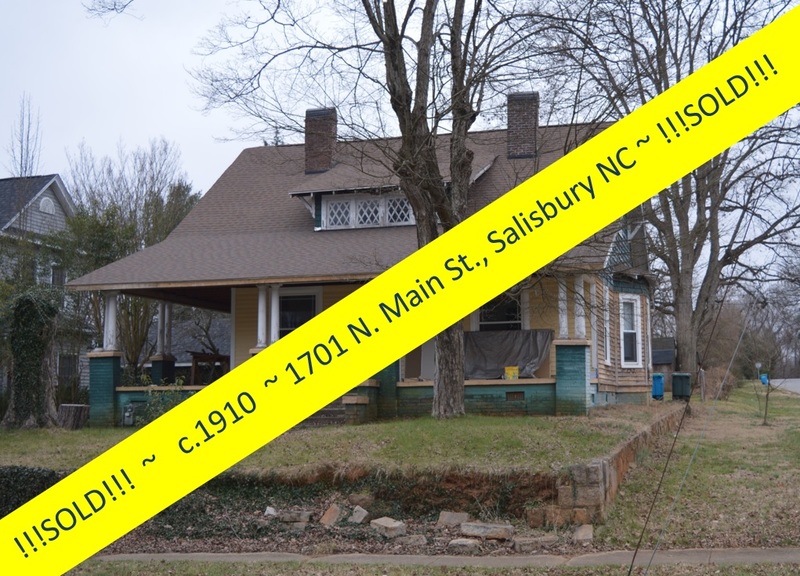 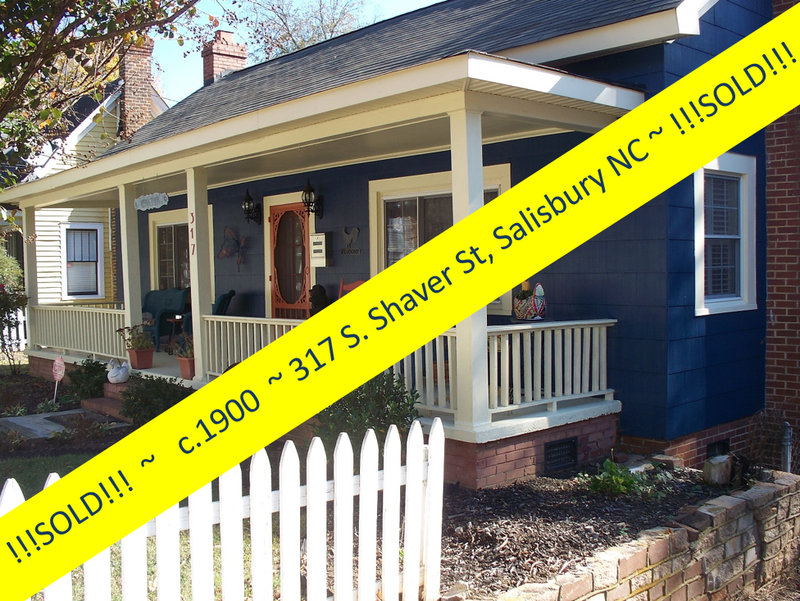 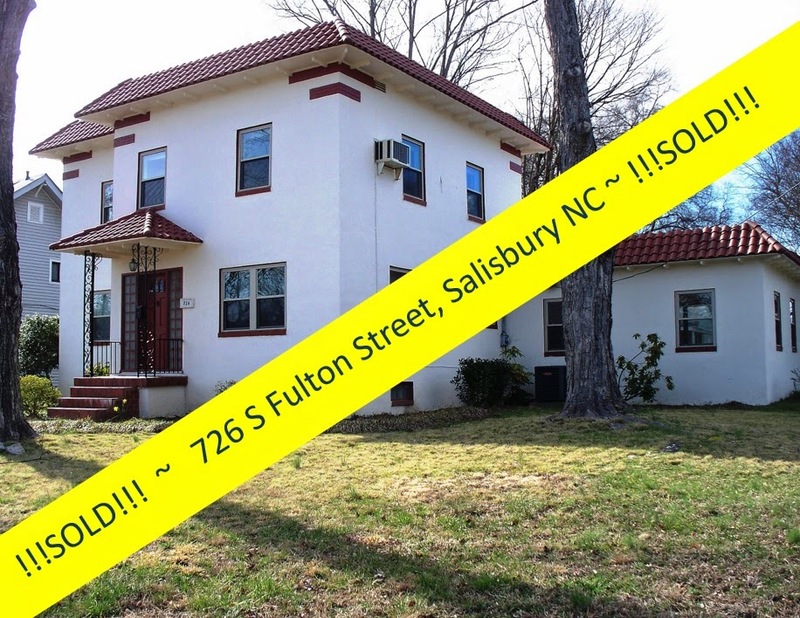 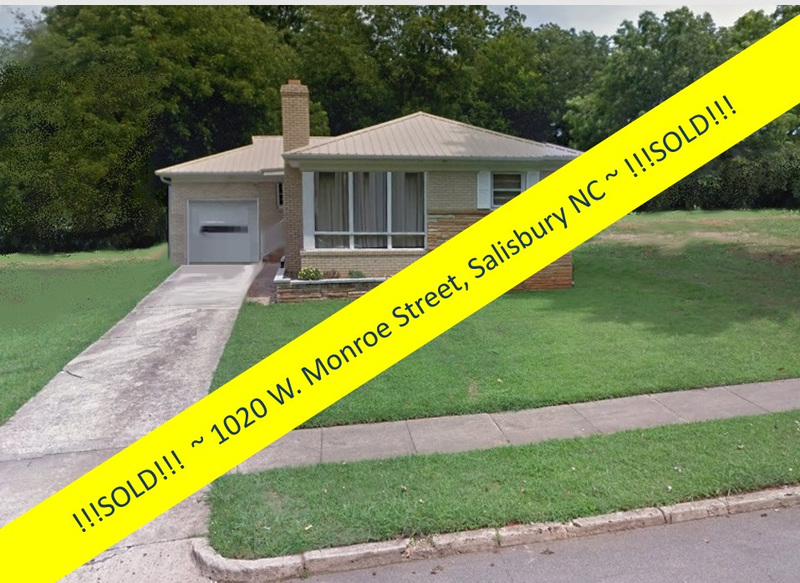 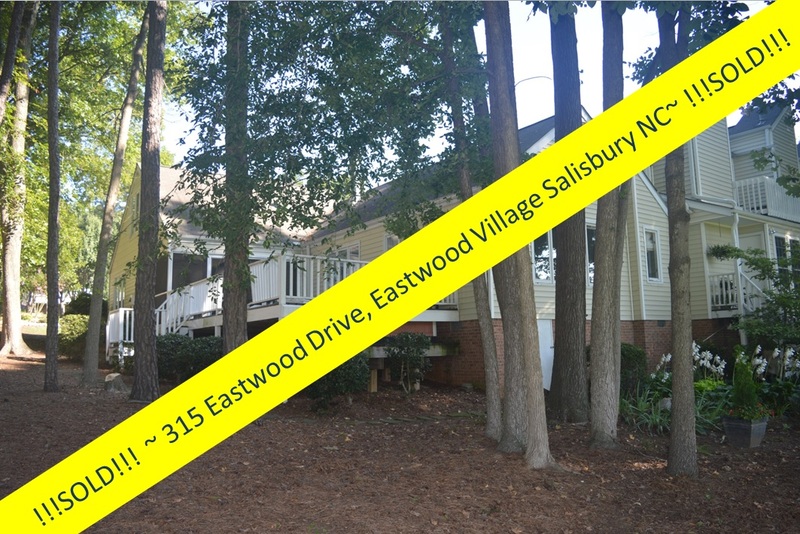 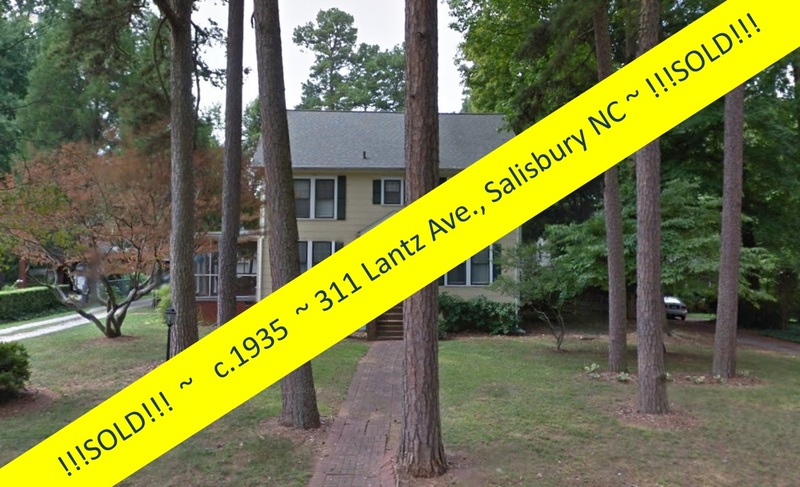 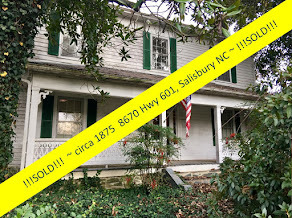 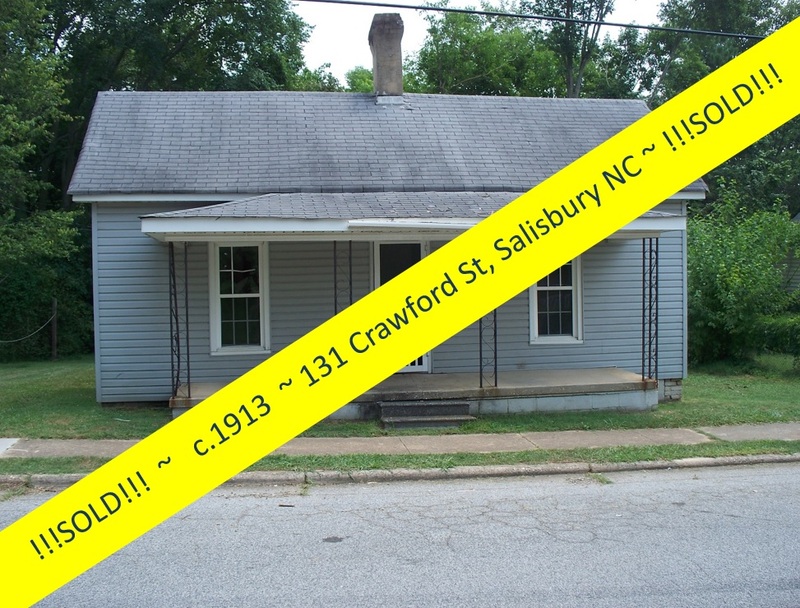 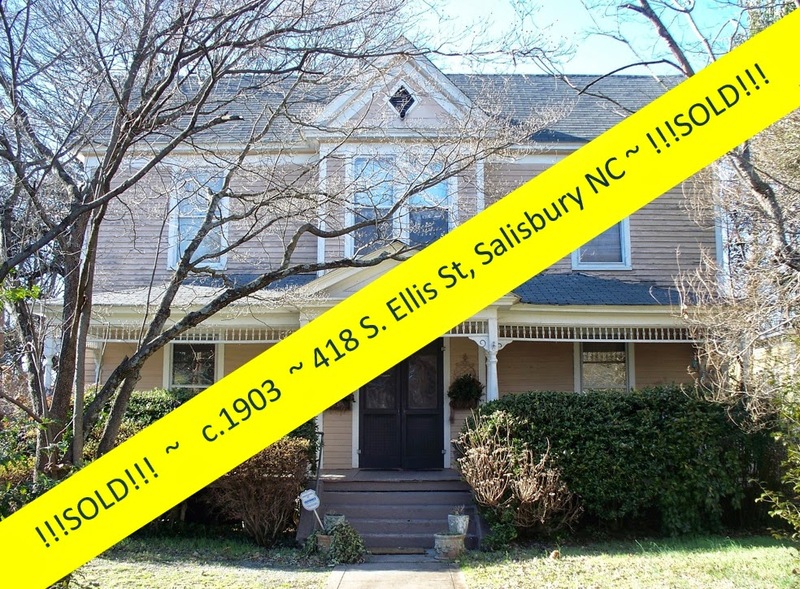 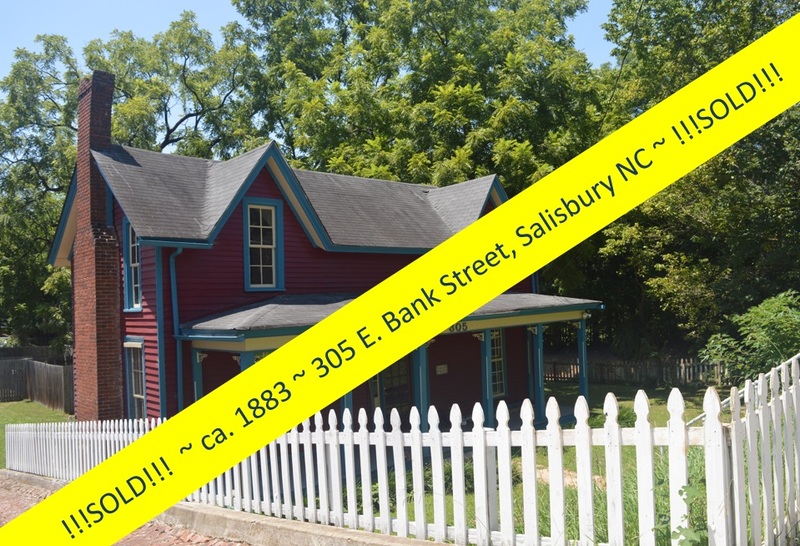 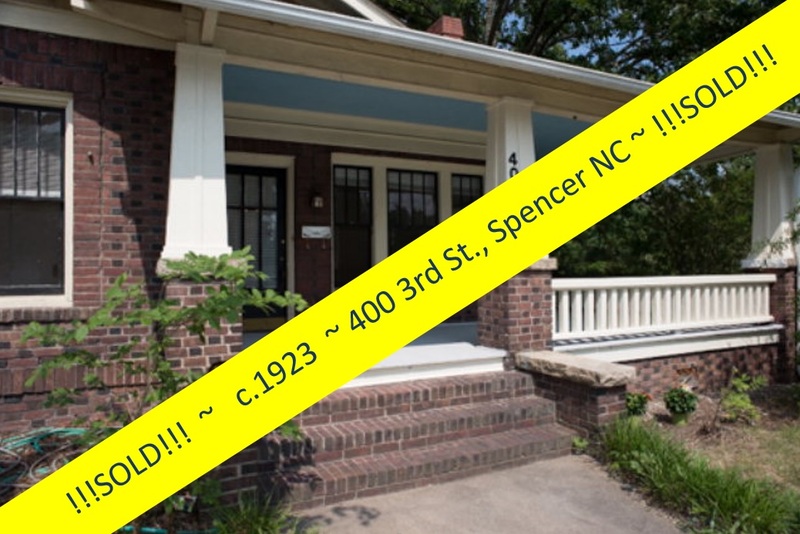 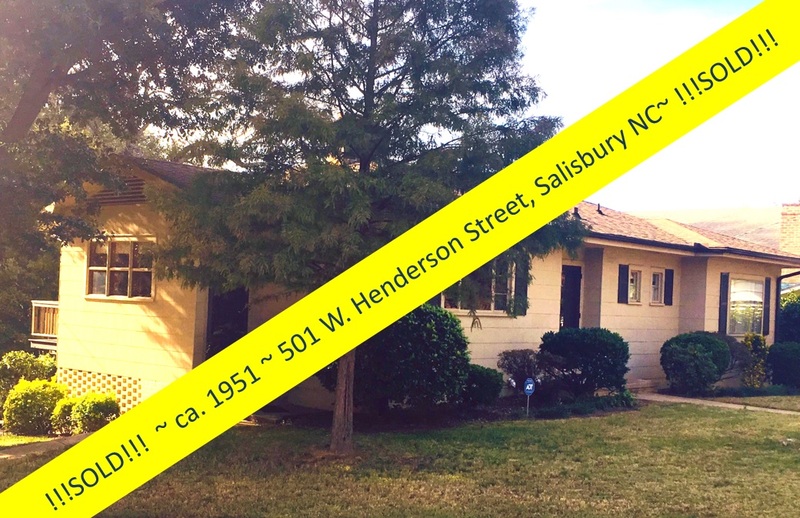 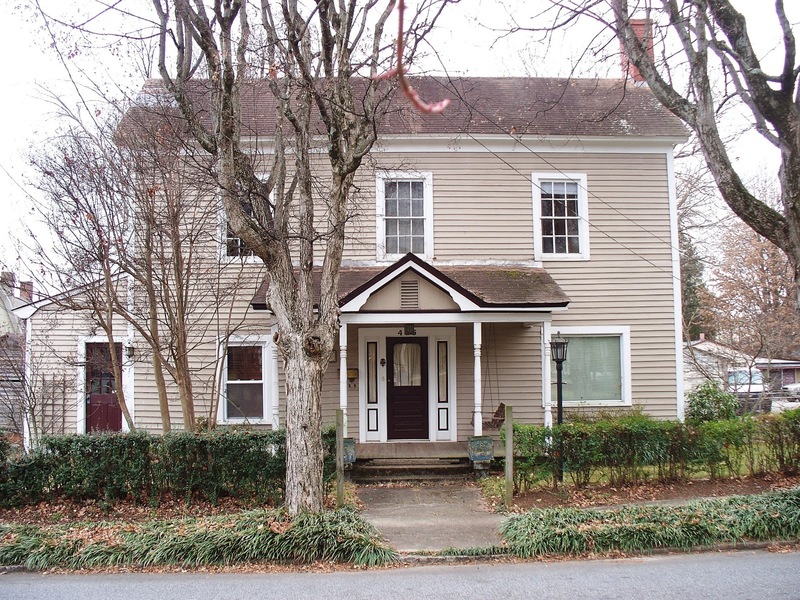 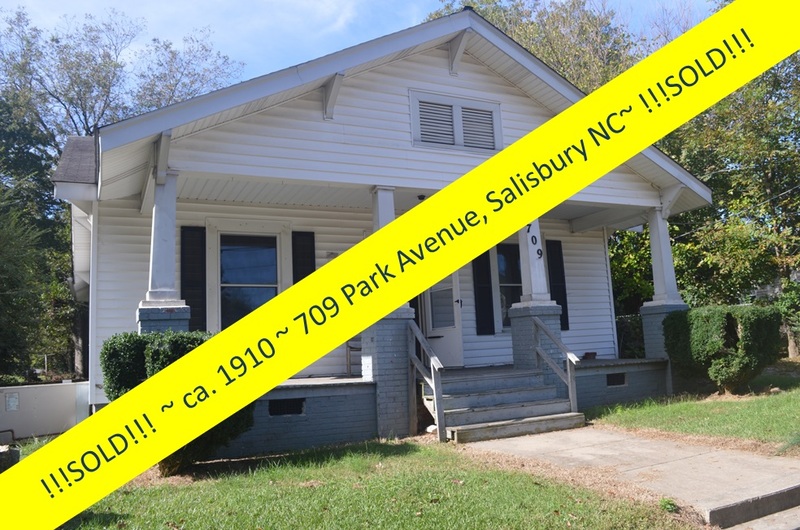 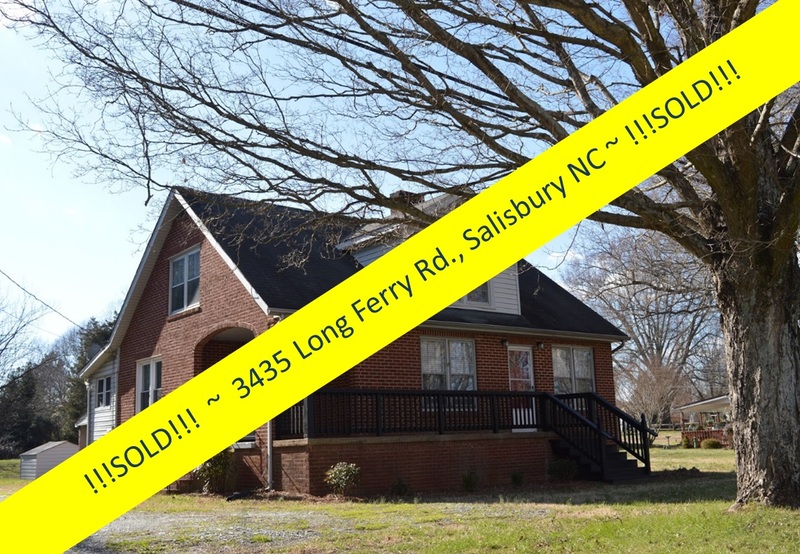 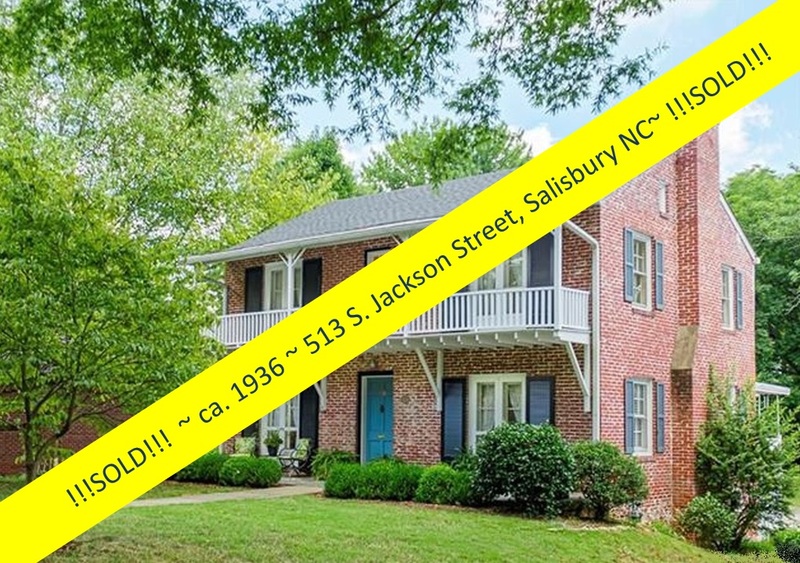 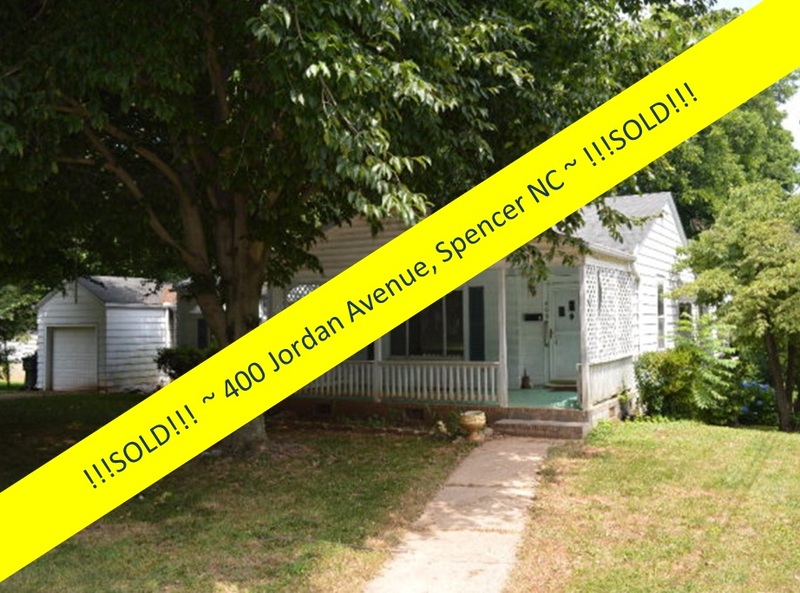 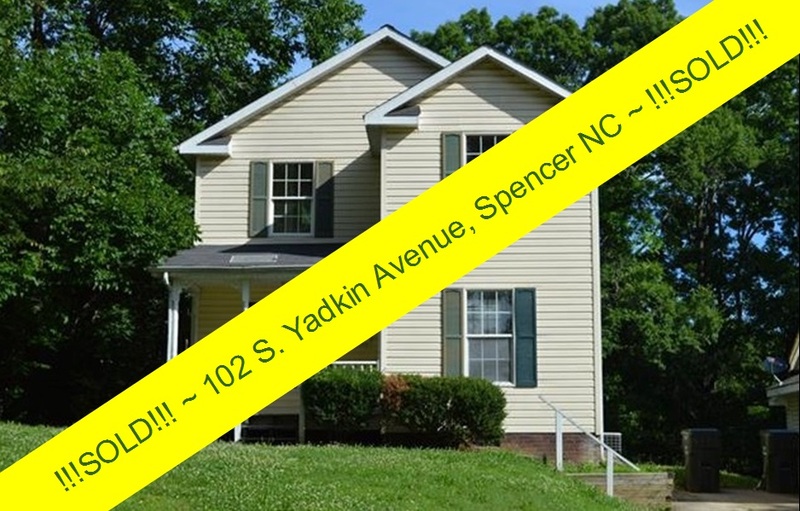 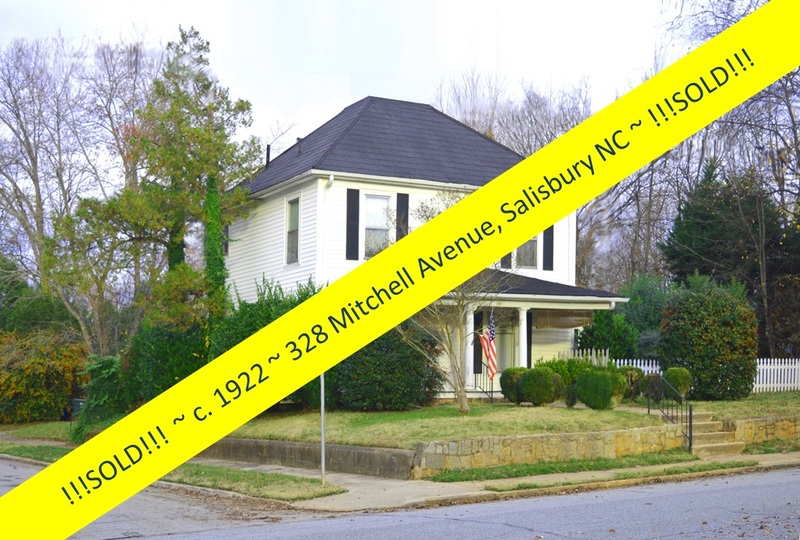 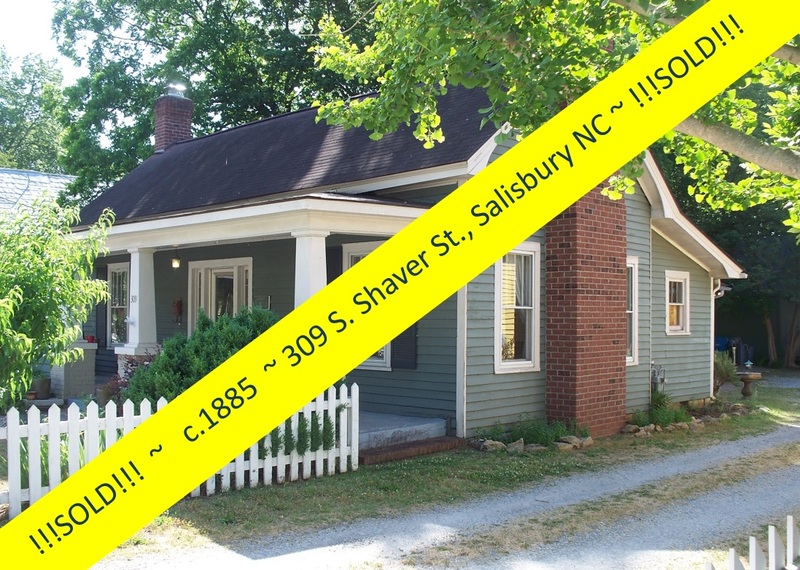 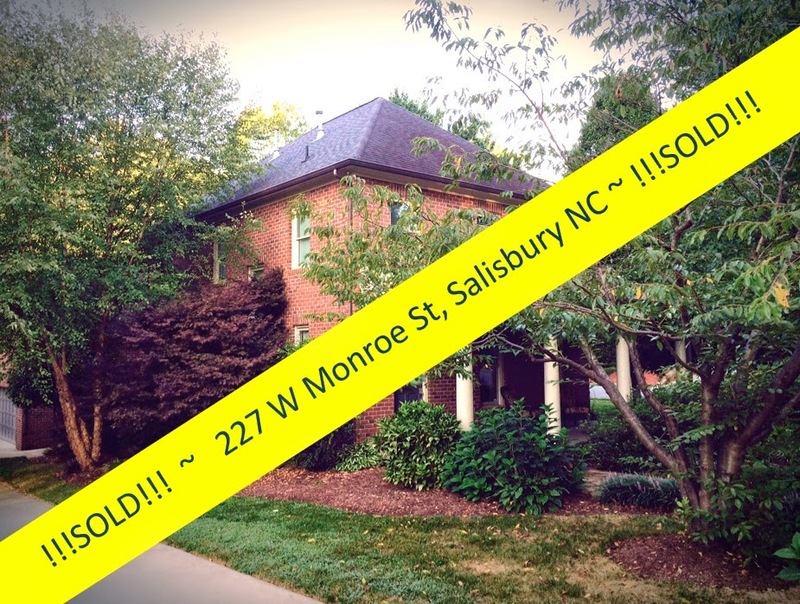 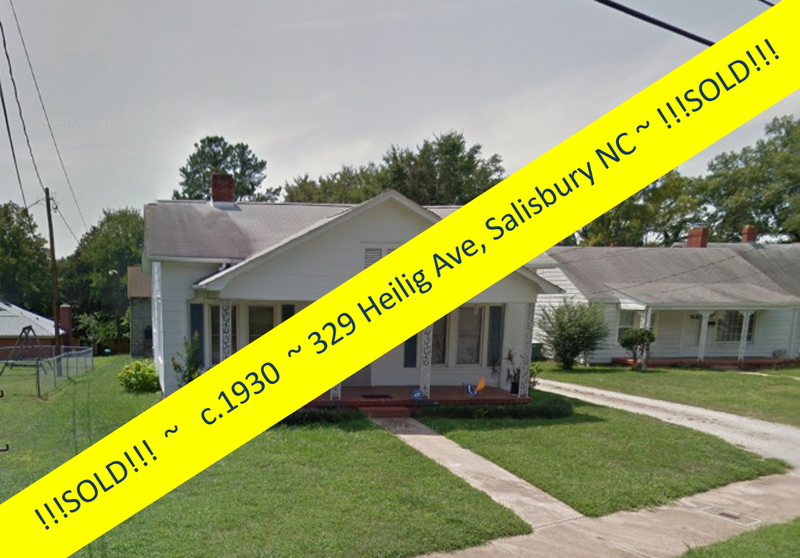 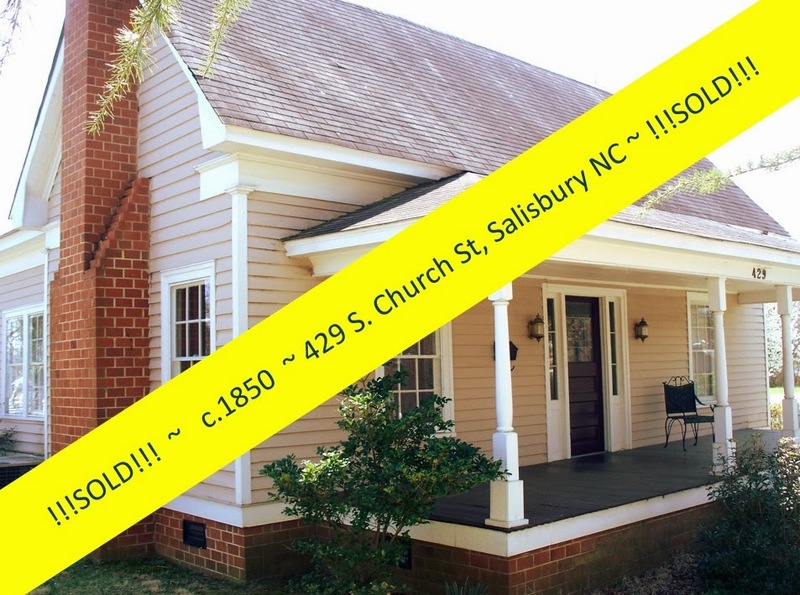 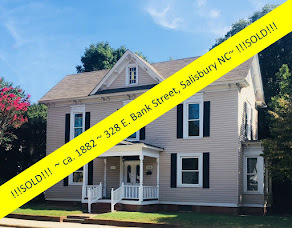 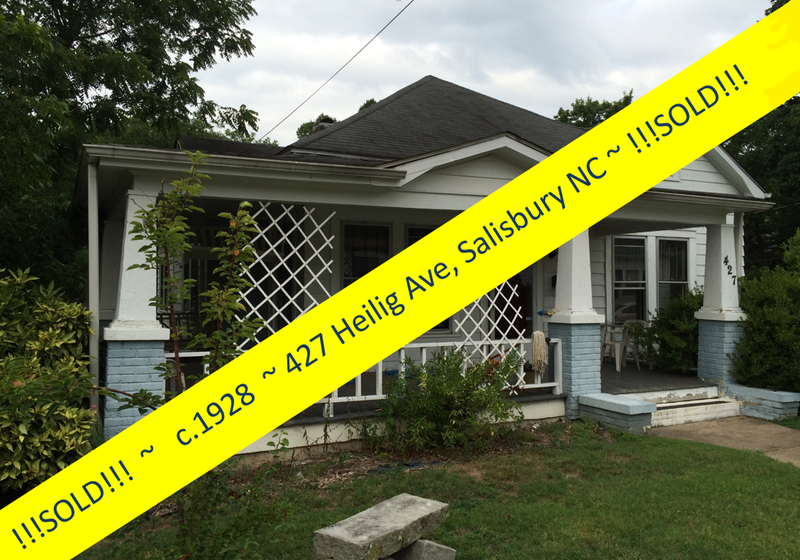 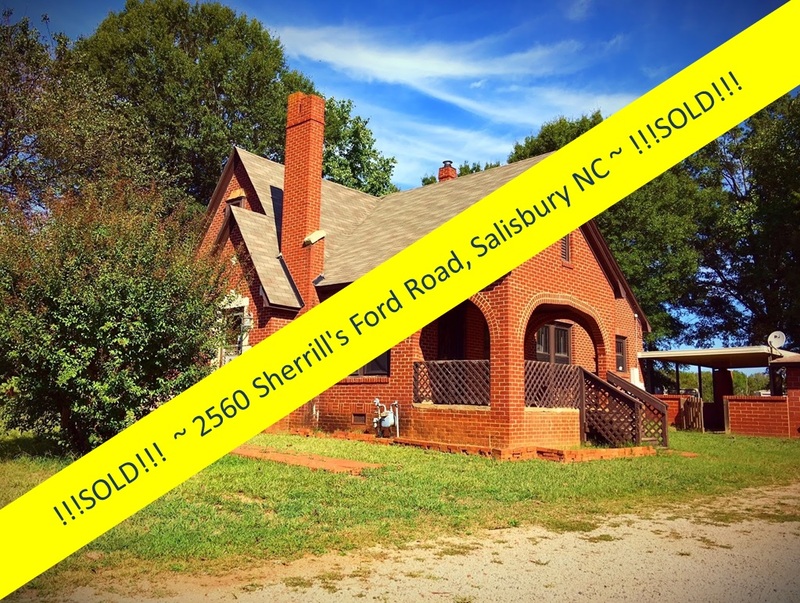 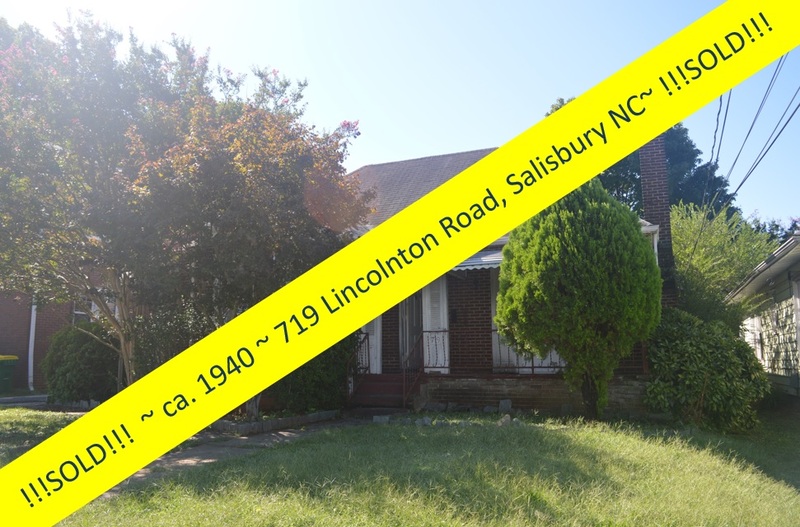 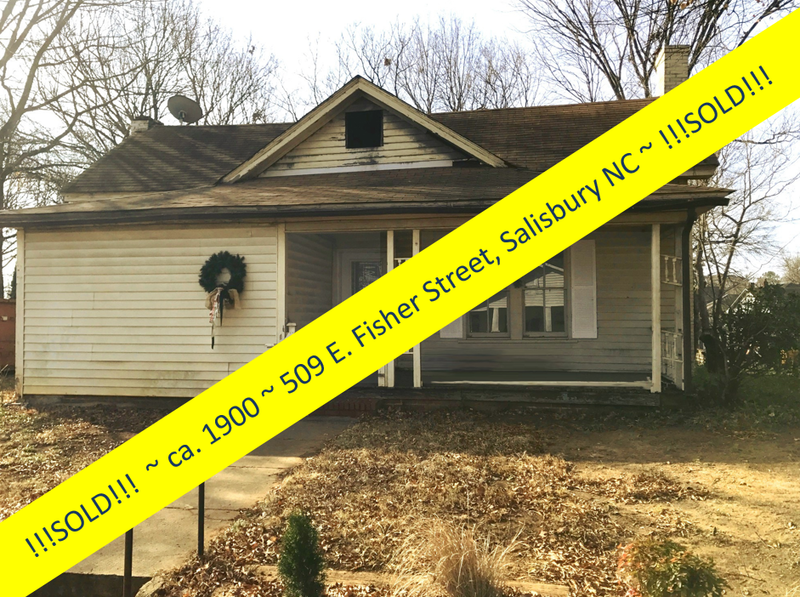 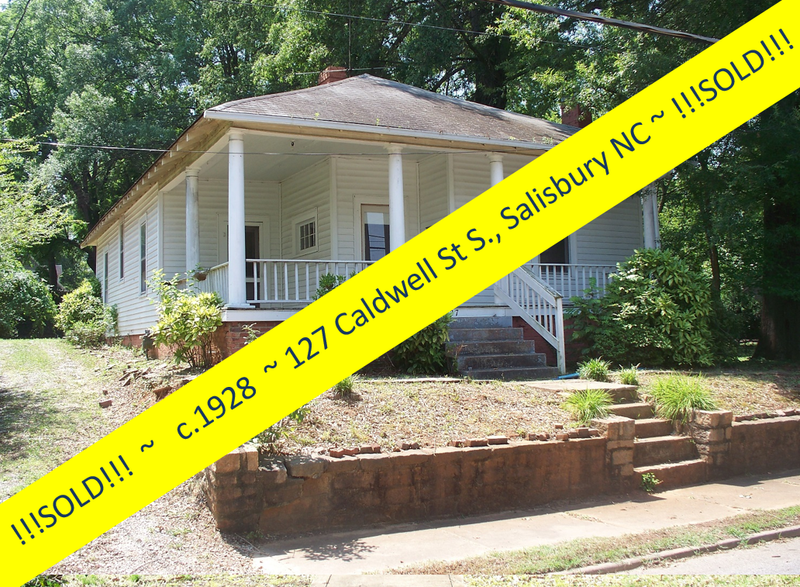 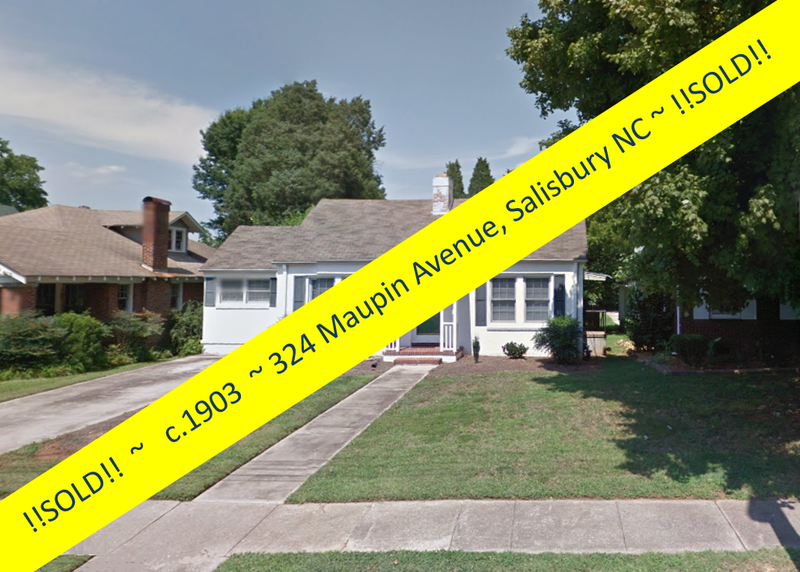 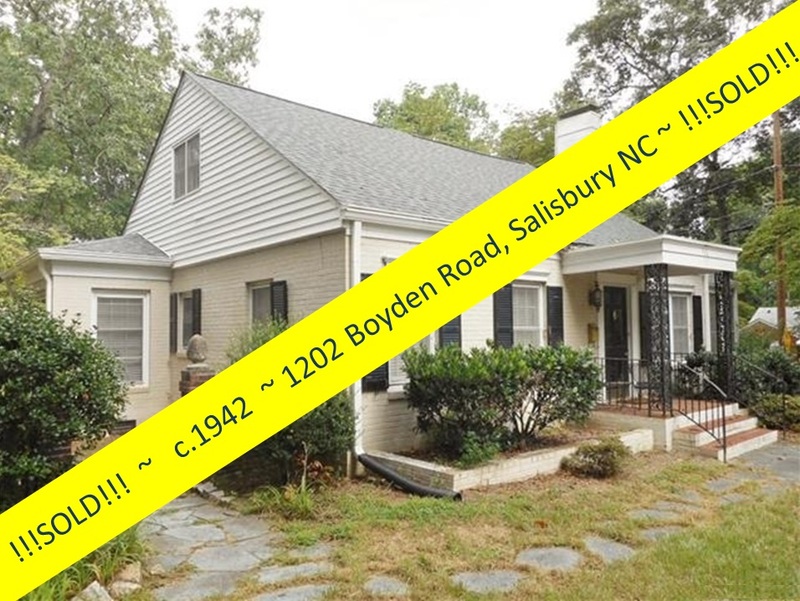 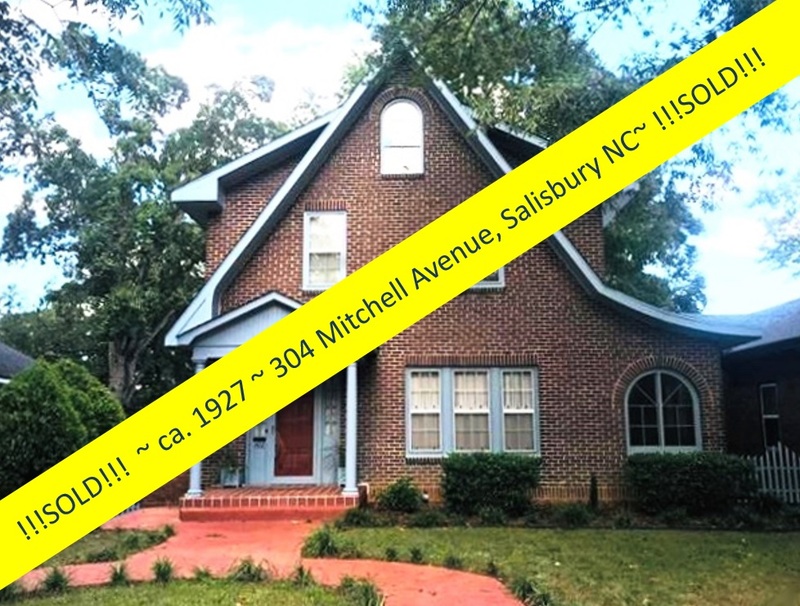 Tax credits might be just the ticket to help you get that dream historic home here in Salisbury, in the Piedmont area of North Carolina....and there are so many beautiful historic homes to choose from! 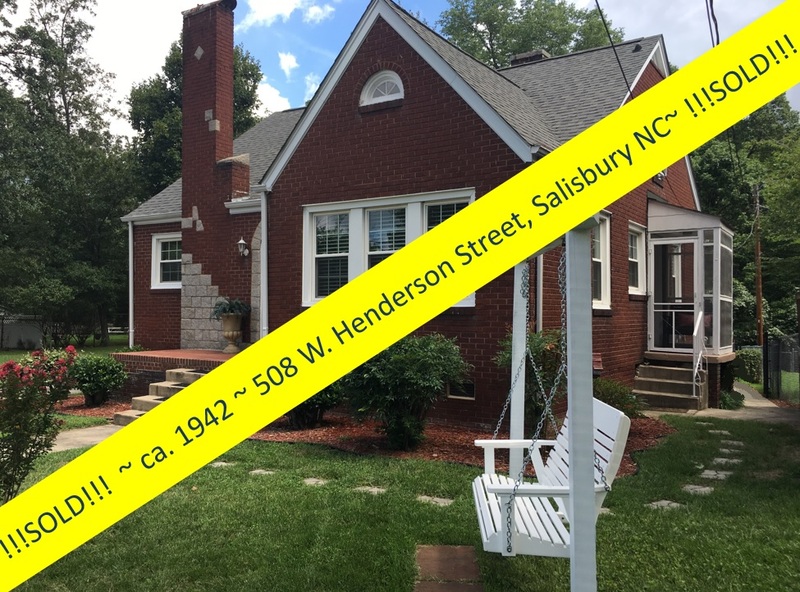 Just ask Salisbury Realtor ® Greg Rapp ~ 704.213.6846. 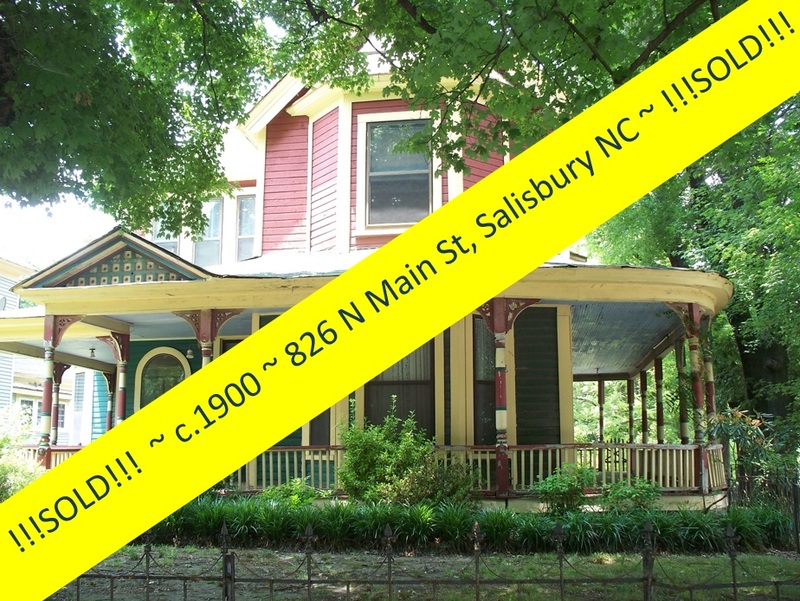 One of the more significant and most imposing buildings in downtown Salisbury NC ~ the historic Washington Building is for sale. The Washington Building on North Main Street was built in 1902 in the Richardsonian Romanesque style with rusticated ashlar facings, which are roughly finished cut granite stones, and rounded arched windows. 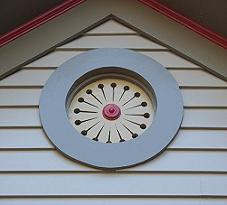 The building also has an element of Spanish Mission style with the shaped gable at the roof line. 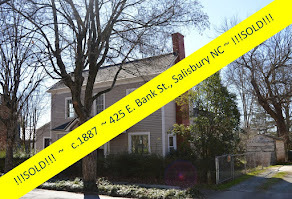 It was erected on the site of the old Yarborough House, where George Washington visited during his tour of the Southern states in 1791. The building was commissioned by Lee S. Overman and designed by C. C. Hook of Charlotte. 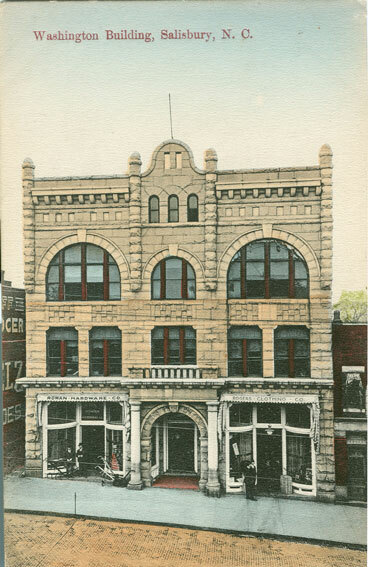 Overman sold the building to D. L. Arey in 1906. 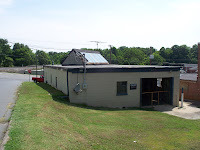 When this photo was taken, it housed Rowan Hardware and Rogers Clothing Company. 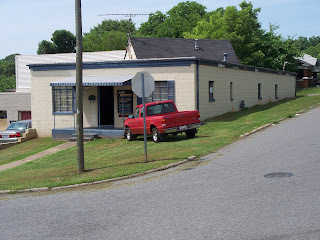 Between the Washington Building and the meat store next door, was Hogan’s Alley. 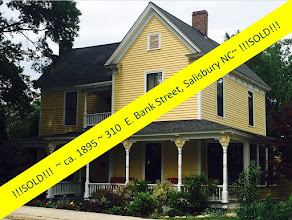 At one point is was the home of the Saturday Evening Post. 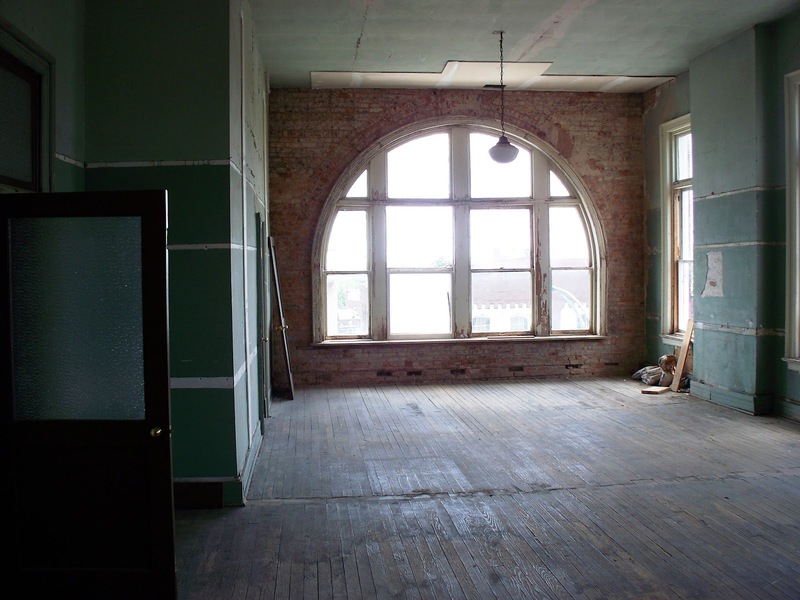 The Washington Building is now an impressive example of historic rehabilitation in a downtown commercial area. 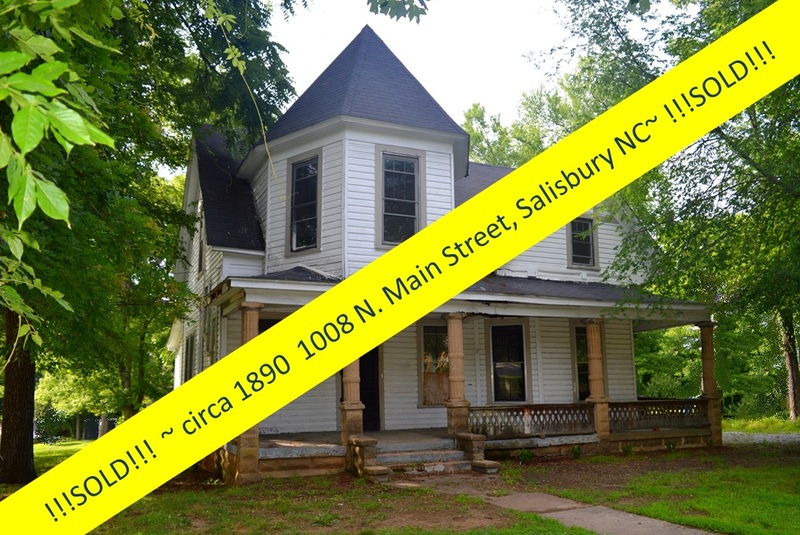 This absolutely beautiful building at 118 MAIN STREET NORTH in Salisbury, North Carolina is a 3-story structure. The building features original architectural pieces such as a grand staircase, original doors with transom windows, original light fixtures, and plenty more. The first floor contains two retail spaces, one currently leased to Ethos Restaurant, the second one vacant. 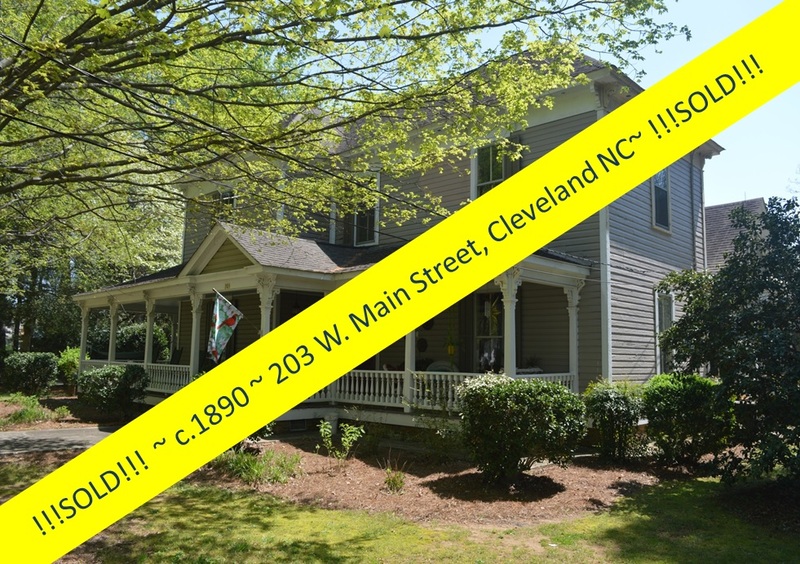 The second floor is fully renovated, with HVAC, and set up for office space with separate access from the 1st floor retail on Main Street via an imposing wood staircase. The amount of stained and finished, intact original woodwork on this floor is astounding. 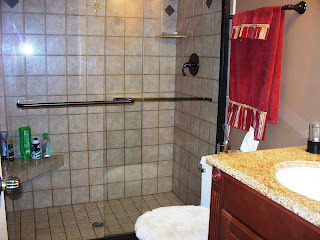 There are original tile floors in the restrooms in this over 20,000 square foot building. 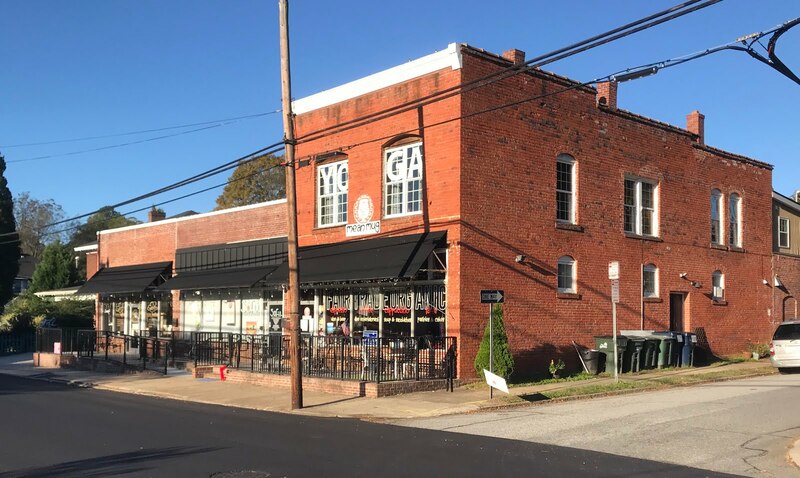 The two large meeting rooms facing Main Street with their 15-foot ceilings are naturally lit by the pair of large double-hung windows with broad decorative transoms and deep wood sills and casings. 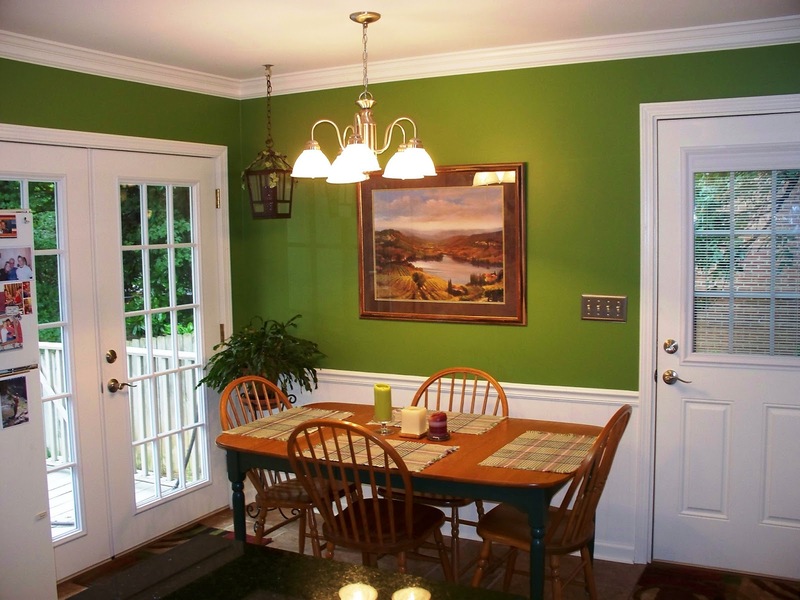 Each room’s wood baseboard molding set off the space to a ”T”. The large meeting room to the southeast is carpeted, while the large room on to the left of the staircase to the northeast has wood floors and its original fireplace. 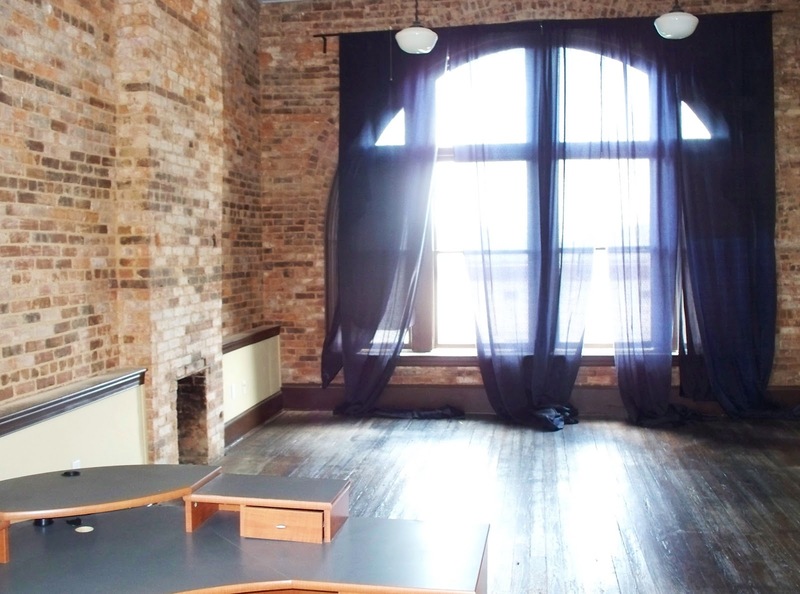 This space would make an impressive office for the CEO of the Washington Building’s future owners. 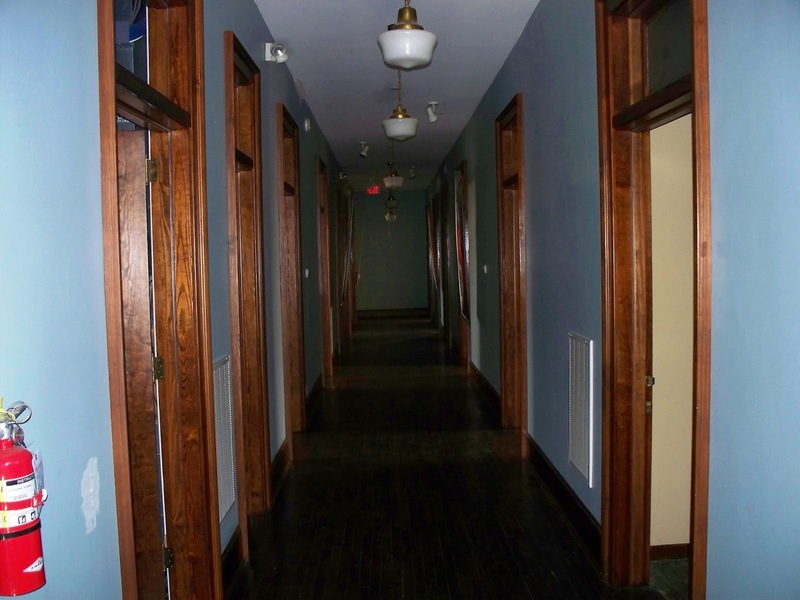 This floor further houses at least 8 more office spaces off to the sides of its center hallway, each with pebble glass transomed windows and intact woodwork. 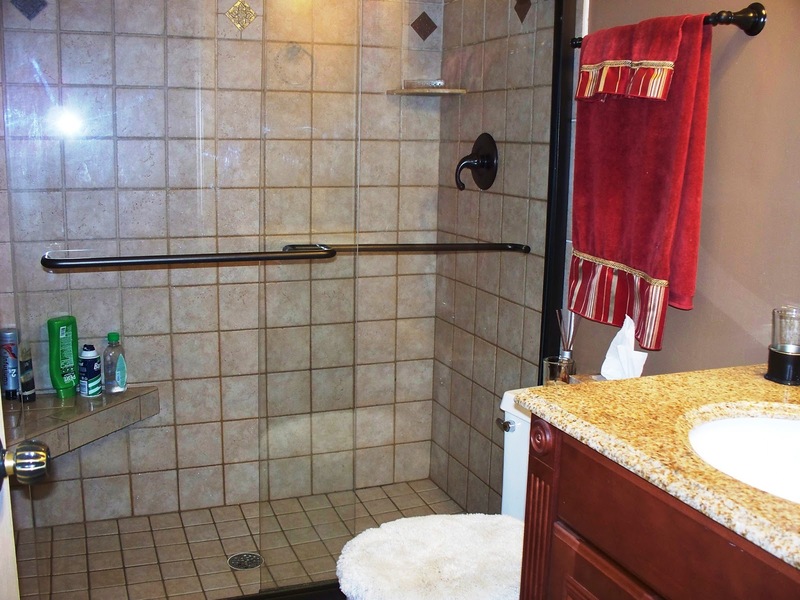 This high-functioning floor also houses the men’s and women’s restrooms, and a kitchen. 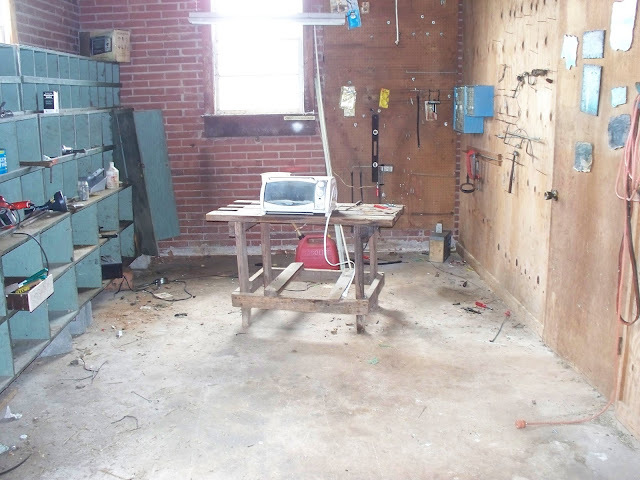 There is a defunct elevator reaching this floor that could be refurbished to make this building accessible by modern standards. 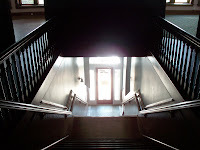 The third floor is another place the “WOW~factor” will hit you head on! 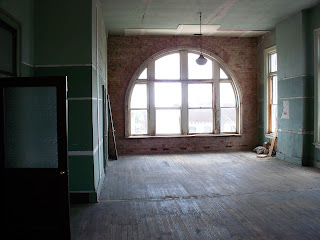 The two large front rooms, again facing Main Street, feature the two immense arched windows that are part of the Washington Building’s impressive façade characteristics. 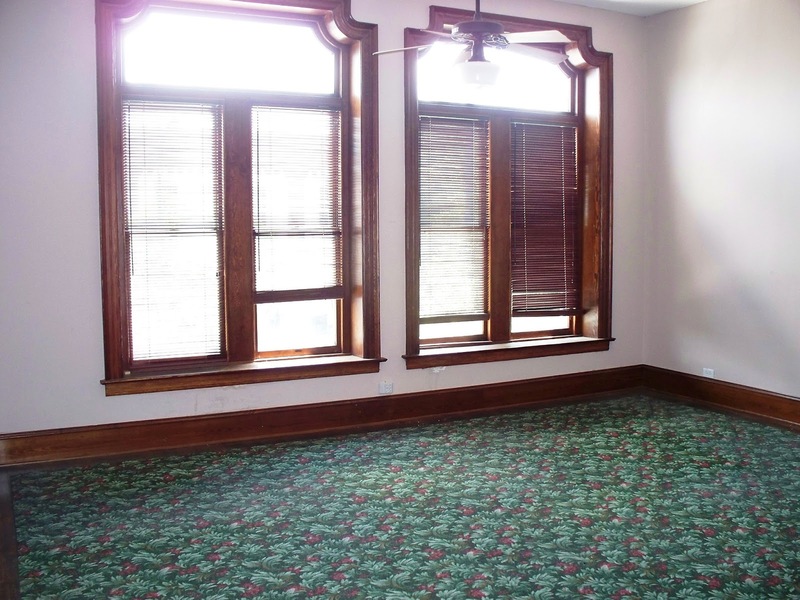 The large northeast room has gorgeous brick walls and fireplace, sharing the original chimney with the second floor fireplace. The southeast room has only one brick wall exposed, but surely could be transformed to another impressive brick-walled room, or covered as the new owners best see fit. 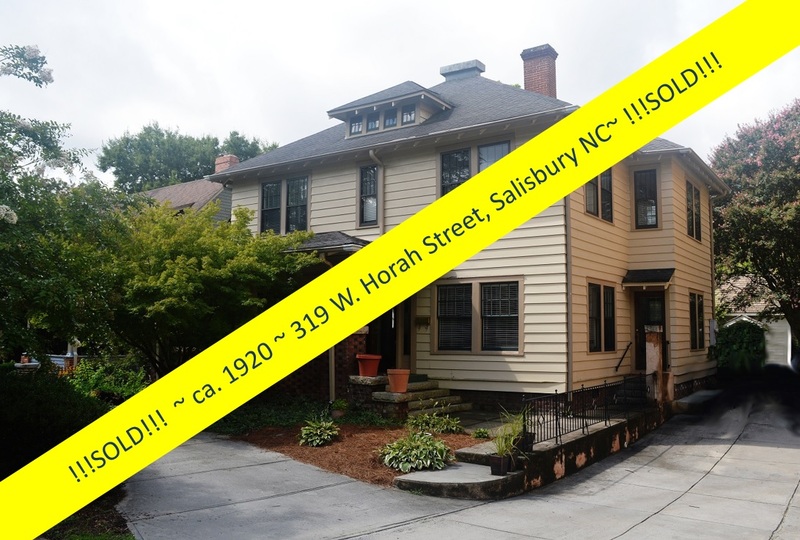 The Washington Building is like no other in downtown Salisbury. 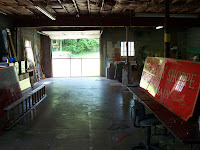 In 2003, Miller-Davis Agency purchased The Washington Building and commissioned StoutStudio Architecture (http://www.stoutstudio.com/intro.htm), a firm noted for experience with historical renovation projects, to begin renovations 2005. 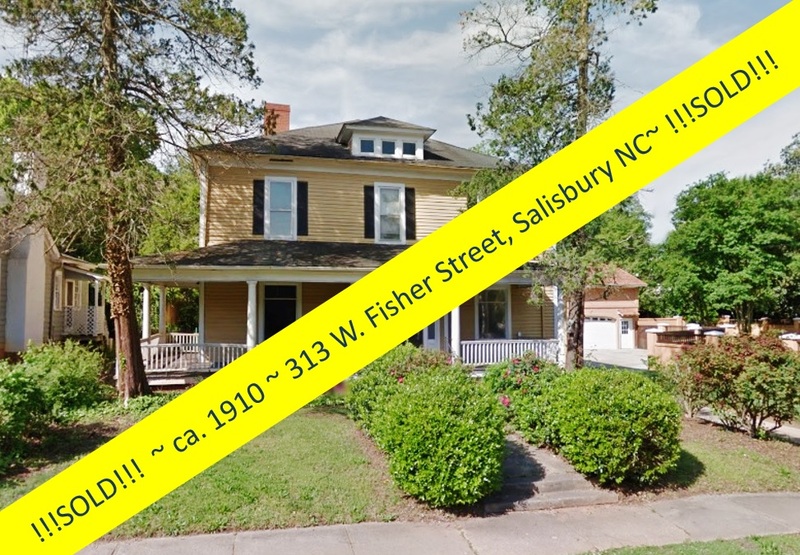 When Miller-Davis purchased The Washington Building in downtown Salisbury, they needed office space that would feature a progressive look and functionality without displacing its charm and character. 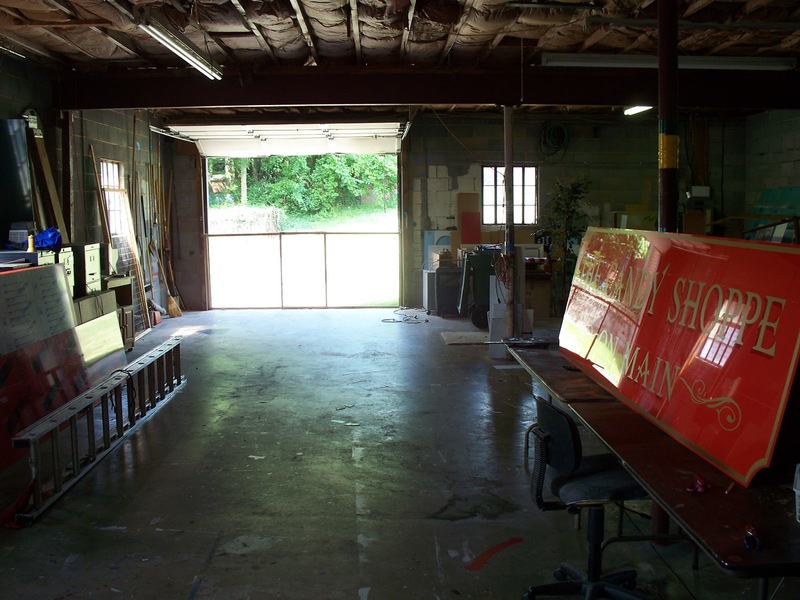 The StoutStudio Design Program included restoring the façade, restoring and reuse of the existing 2nd floor office space, the removal of non-contributing interior walls on all levels, and the restoration of the grand center staircase to the 2nd floor. 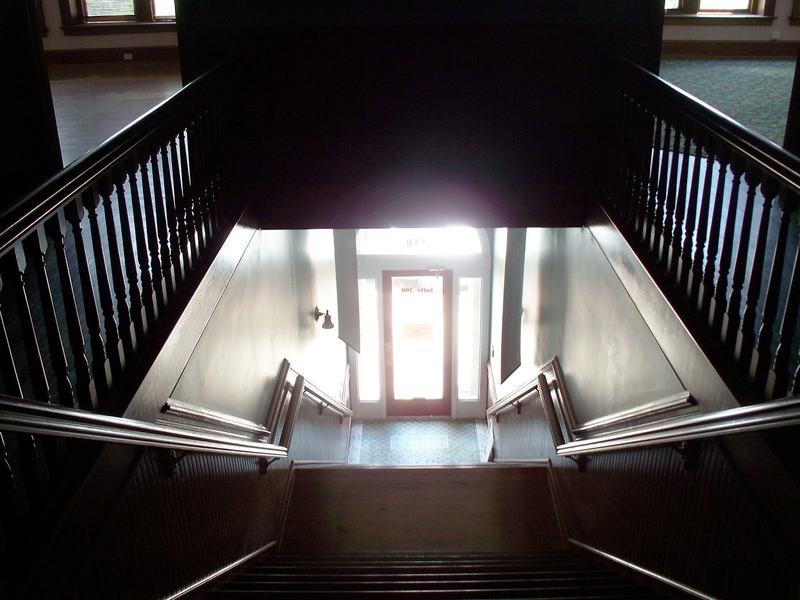 Renovations were complete in 2005, and The Washington Building’s accolades started rolling in! 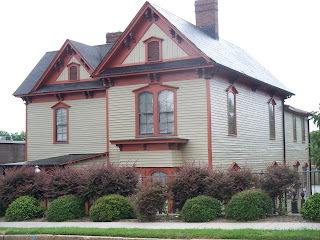 It was awarded the Best Historic Rehabilitation and was the 2005 NC Main Street Award Winner (http://www.nccommerce.com/cd/urban-development/main-street-program). 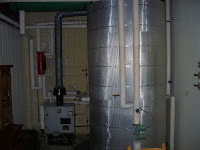 While most of the renovations are complete, extra space on the 3rd floor is still available for renovation. 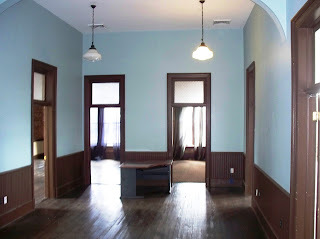 An immense ballroom-esque room sits to the back of the third floor that is crying out to be a party room or film studio. 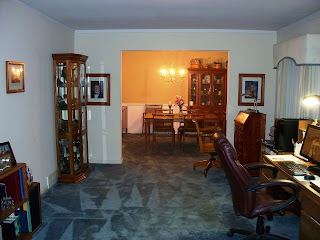 The room is huge! 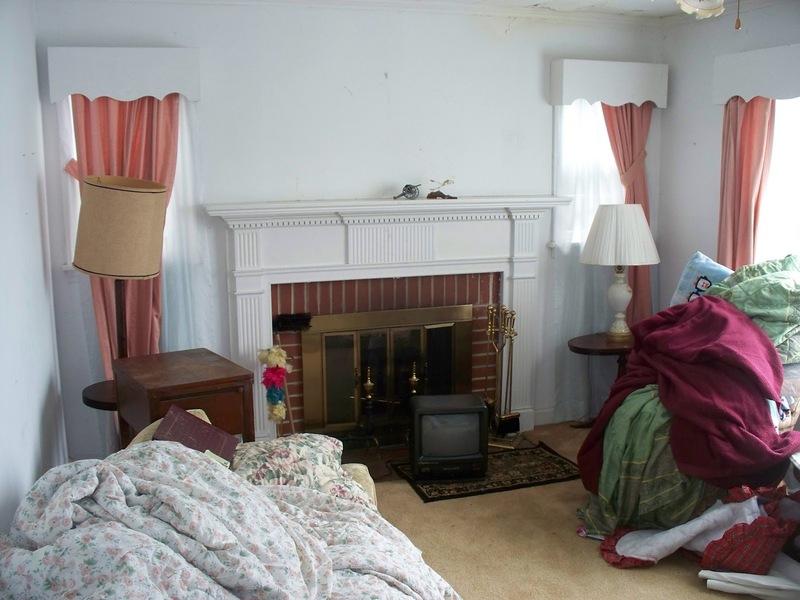 You will have to see it for yourself. 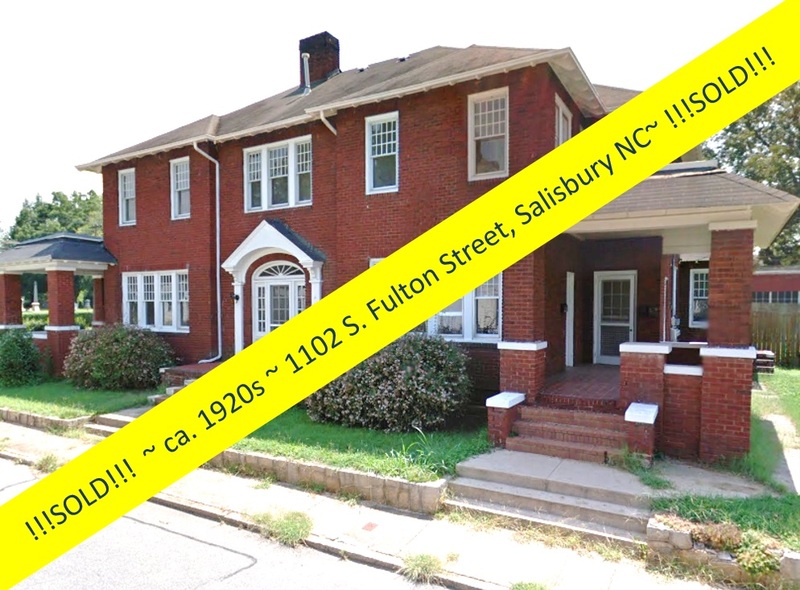 The Washington Building on 118 N. Main St. is a beautiful piece of historic Downtown Salisbury. 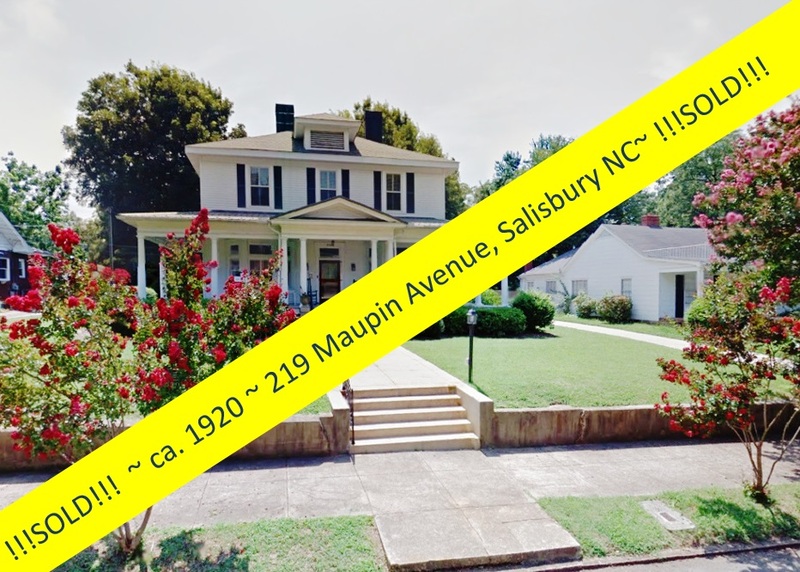 This over 20,000 square foot property is for sale for just $650,000, the top two floors of the building are handsomely restored office space, and the building can be converted to a live-work situation if desired. 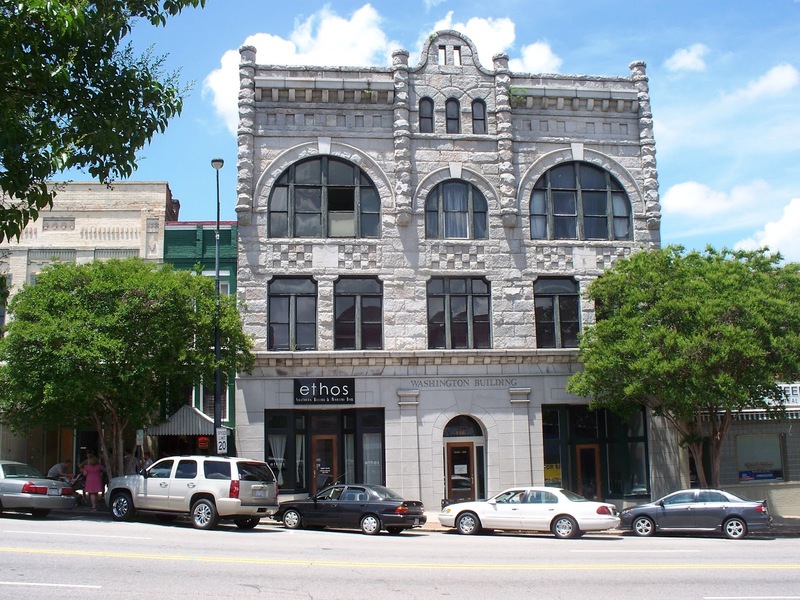 This building, built in 1902, is now beautifully renovated and is one of the most impressive buildings along Main Street. 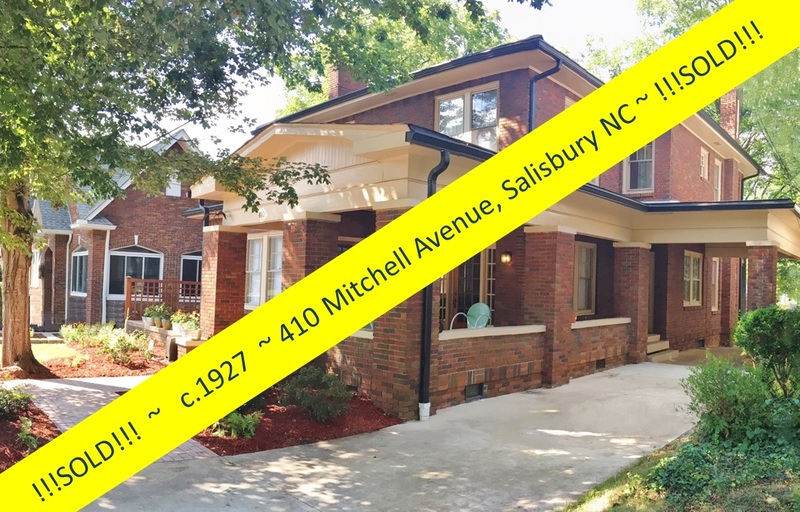 This truly historic building has been wonderfully restored back to its former 100-year-old glory while still enjoying all the modern comforts of today, and awaits its new owner to create a vibrant downtown culture within its walls. 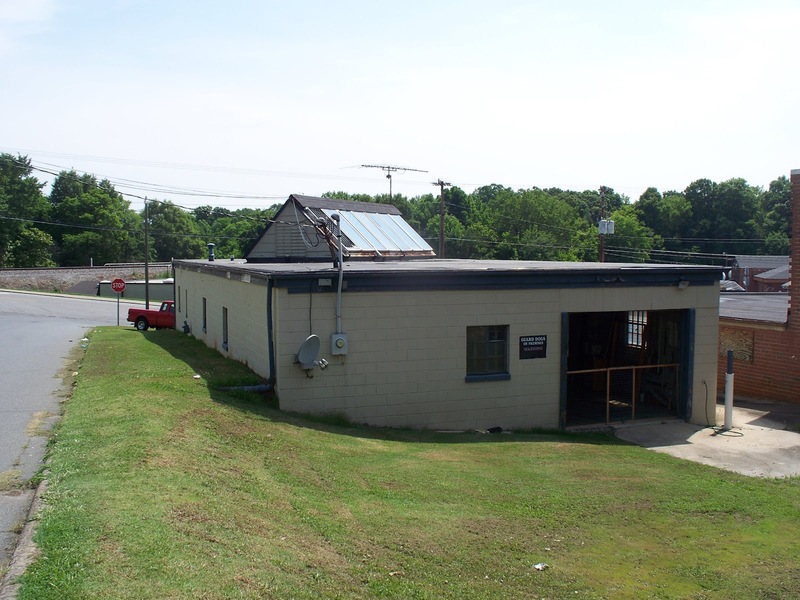 The listing agent for The Washington Building is Victor Wallace at Wallace Realty. 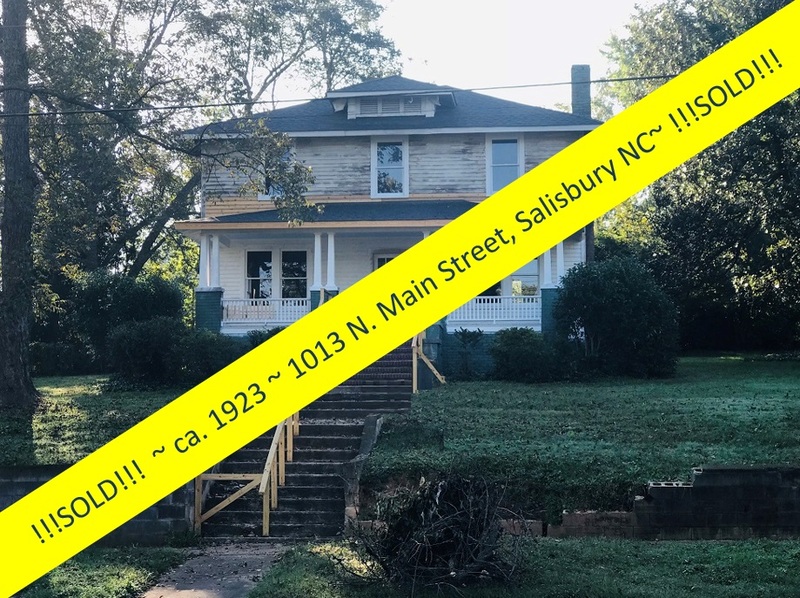 Contact Salisbury Realtor Greg Rapp at 704.213.6846 as your buyers agent to help you make this fabulous building your own. 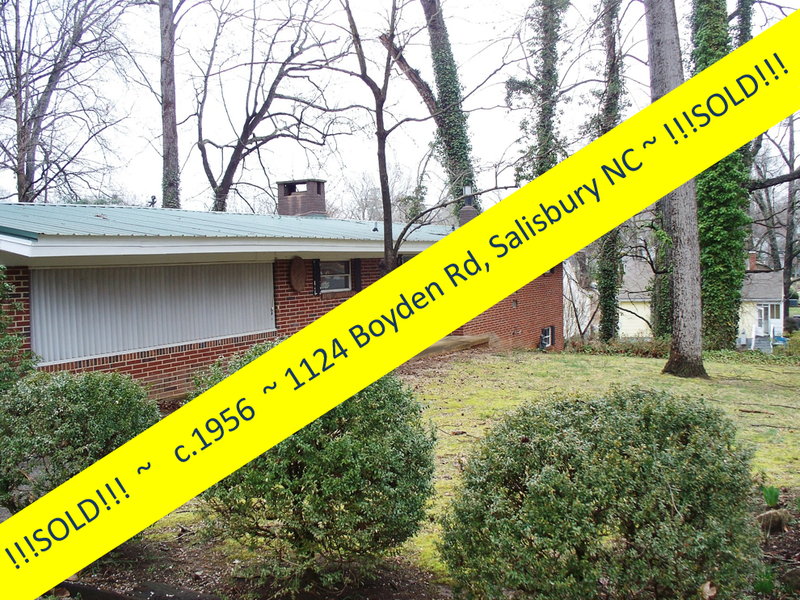 Fabulous Kitchen ~ Spacious Rambler Home ~ Inviting Deck ~ under $150K! 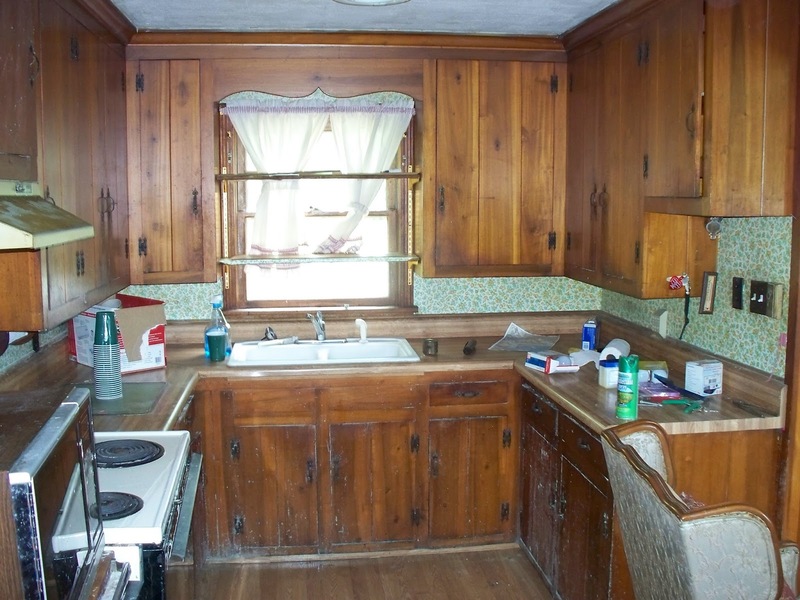 Ranch-style or Rambler-style homes first made their appearance in America in the early part of the 20th century. 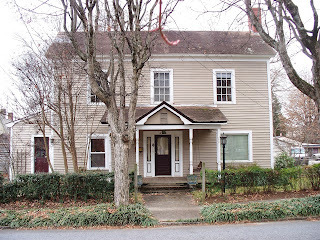 They feature a long, low, ground-hugging profile and are mostly single-story in character. Ranch homes offer attached garages, open and uncluttered floor plans and uncomplicated exteriors. Those last two design features allow homeowners to personalize their ranch homes to a great extent. 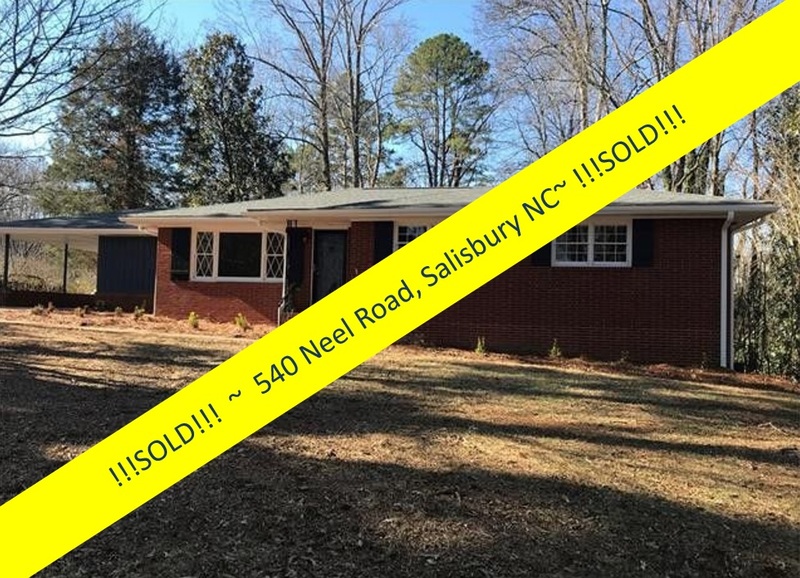 in the Westcliffe neighborhood of Salisbury, North Carolina offers just that ~ along with the seemingly endless ability of the style to accommodate the individual needs of the owner/occupant, combined with the very modern inclusion of the latest in building developments and simplicity of design...all for under $150,000! 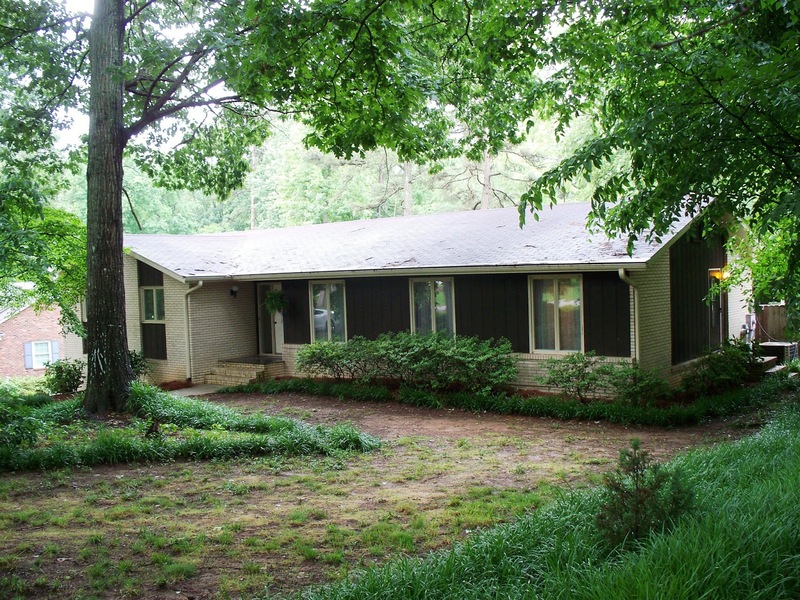 109 Tall Pine Circle offers all the efficiency and spaciousness of the Rambler Style home, settled into a shady, landscaped lot. 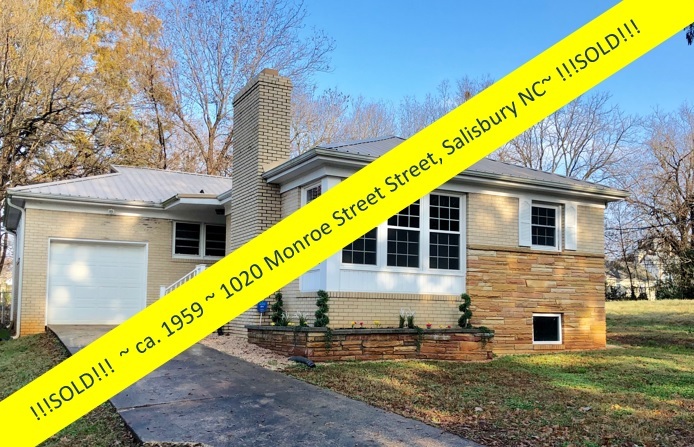 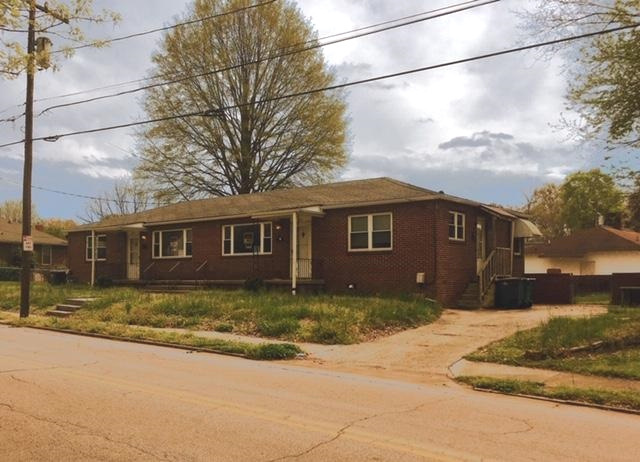 This over 1800 square-foot Rambler home has a number of distinguishing exterior features, including a long, low roofline, brick exterior, and open floor plan throughout. This means all of the major rooms flow one into the other. 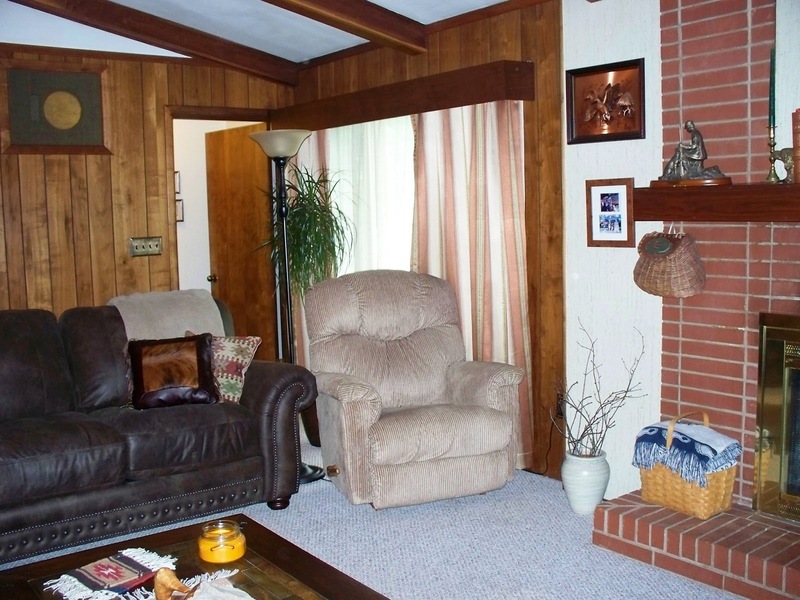 The livability and flexibility in the floor plan here and its uncomplicated design are perfect. 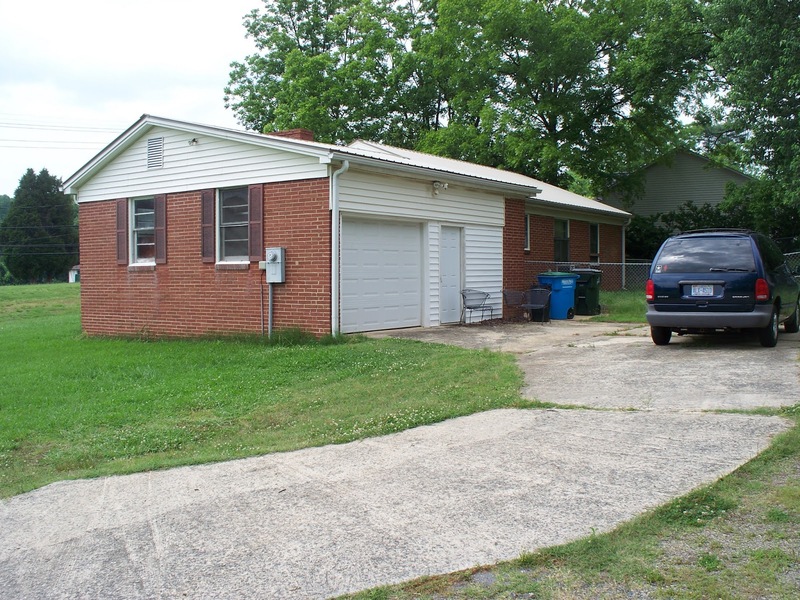 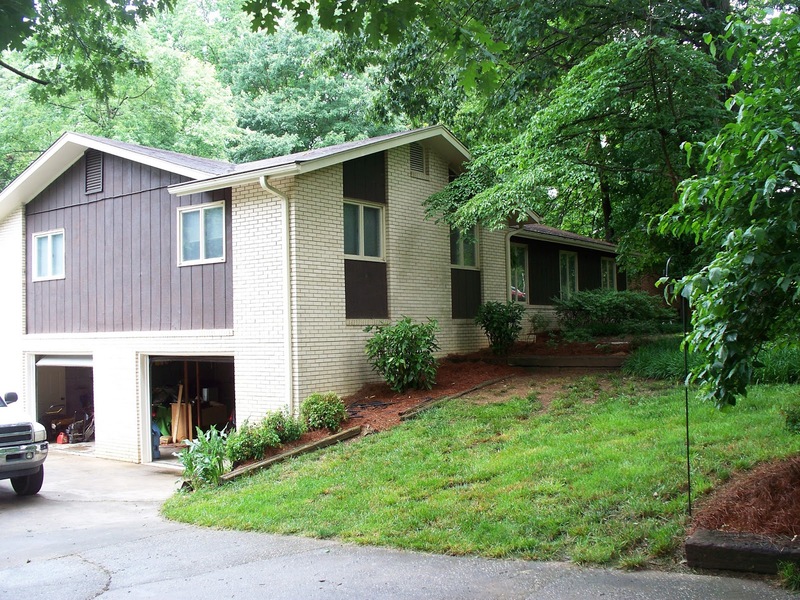 109 Tall Pine Circle was built in 1969, when Ranch and Rambler style home designs were flourishing. 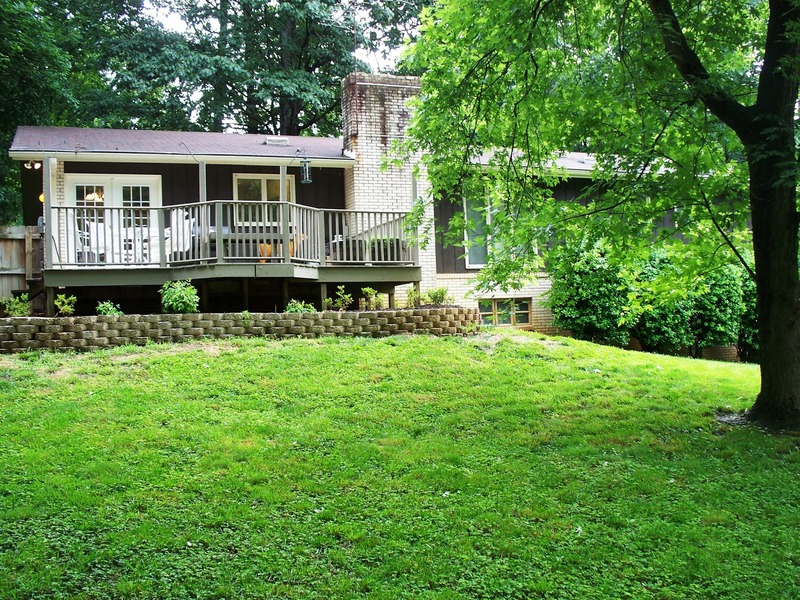 But the updates to this 3-bedroom, 2-bath home set it apart from the typical 1960’s Ranch. 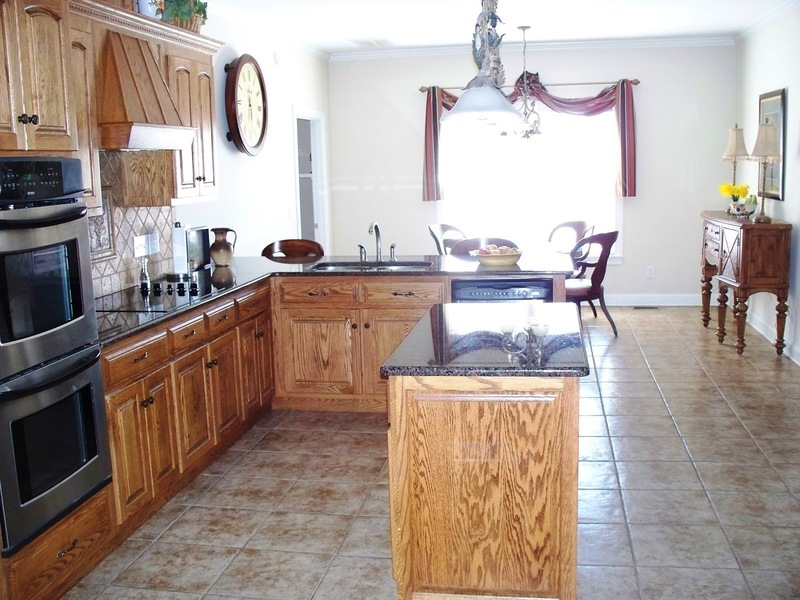 Take a look at this kitchen! 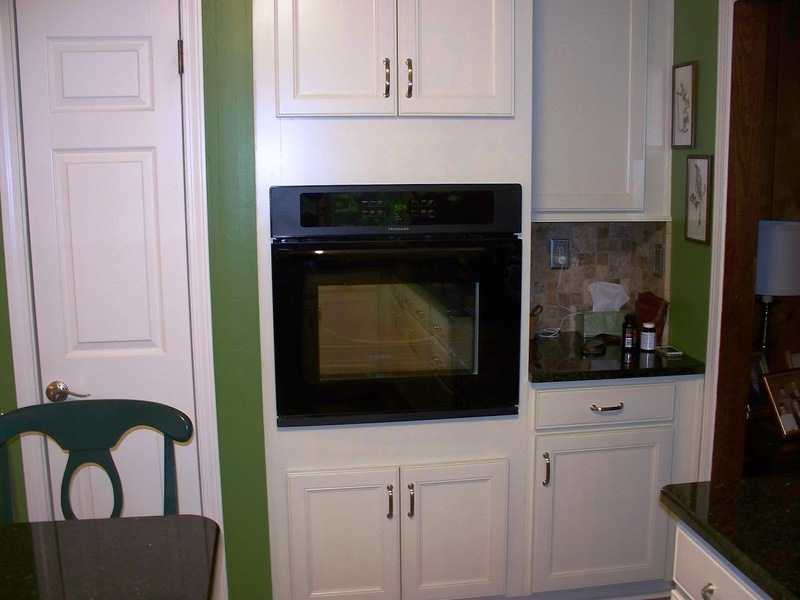 The large 17’ x 15’ eat-in kitchen has so many great updated features it’s difficult to include them all here! back-splash, to its center work island ~ this kitchen is cheery and high-functioning. 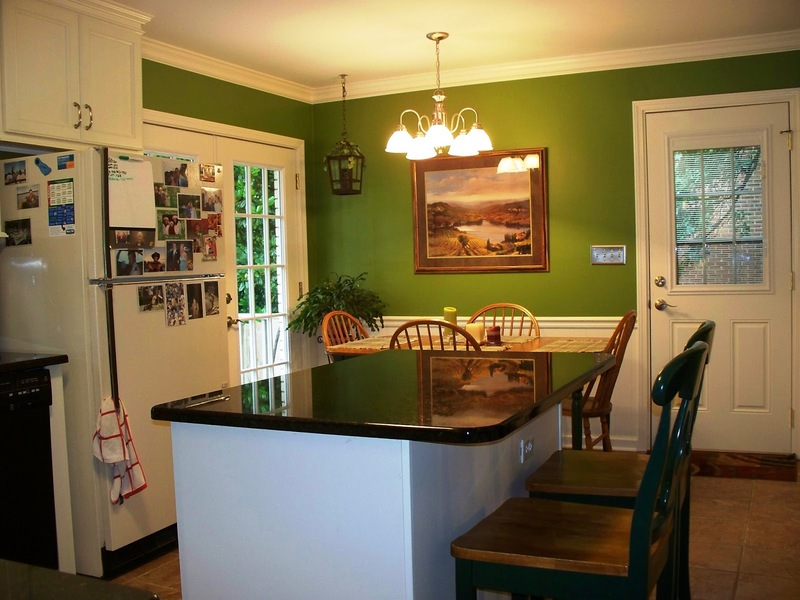 The center island not only brings extra work and storage space, but also accommodates counter-level stools to provide more seating or for use as a breakfast bar. 109 Tall Pine Circle has beautiful white French doors leading to a large, inviting deck overlooking the landscaped fenced back yard. 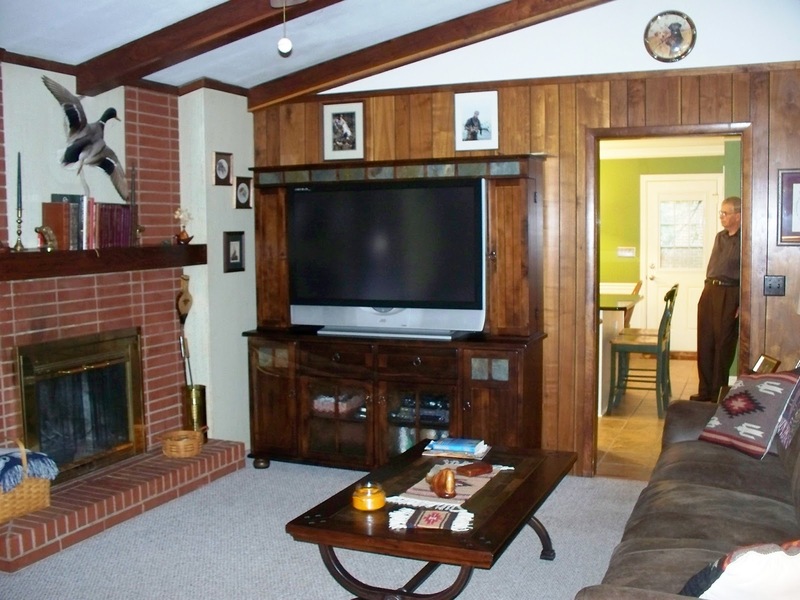 formal living and dining rooms, but for family gathering and relaxing, you’ll be drawn to the den with its vaulted, beamed ceiling and wood-burning fireplace. Crowning touches to 109 Tall Pine Circle are the full, finished basement and double car garage beneath the home. 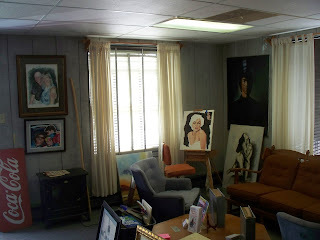 The large (nearly 800 square feet!) 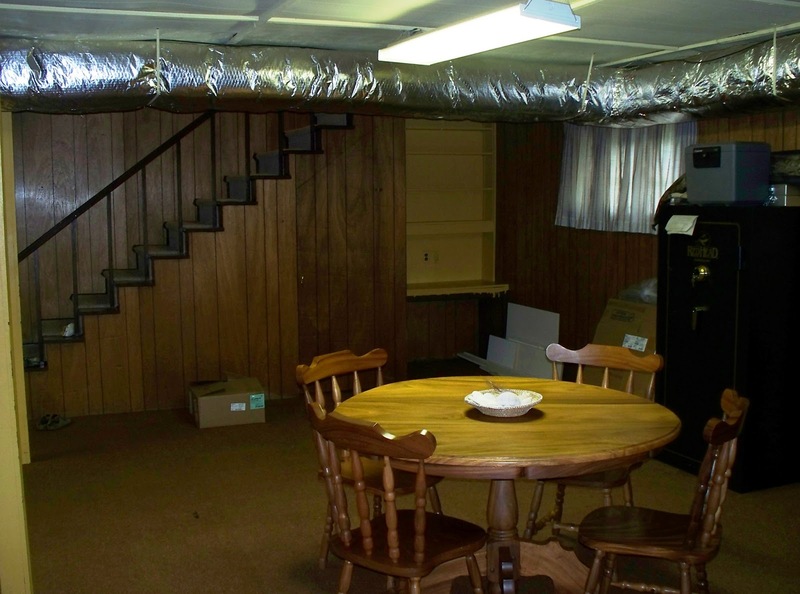 basement has spacious work areas, and a small workshop. 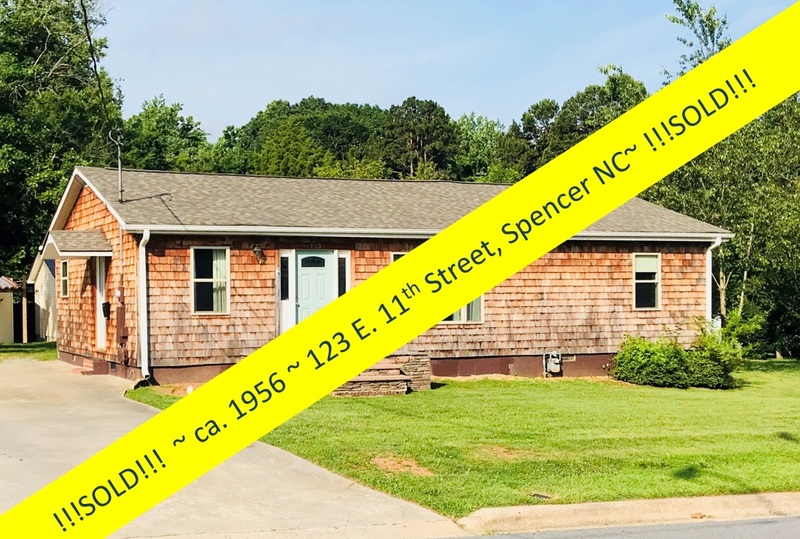 retains many details of that era, such as wood paneling and sleek windows, but more of the smart upgrades include tiled master bath, slate and ceramic tiled floors, and more. 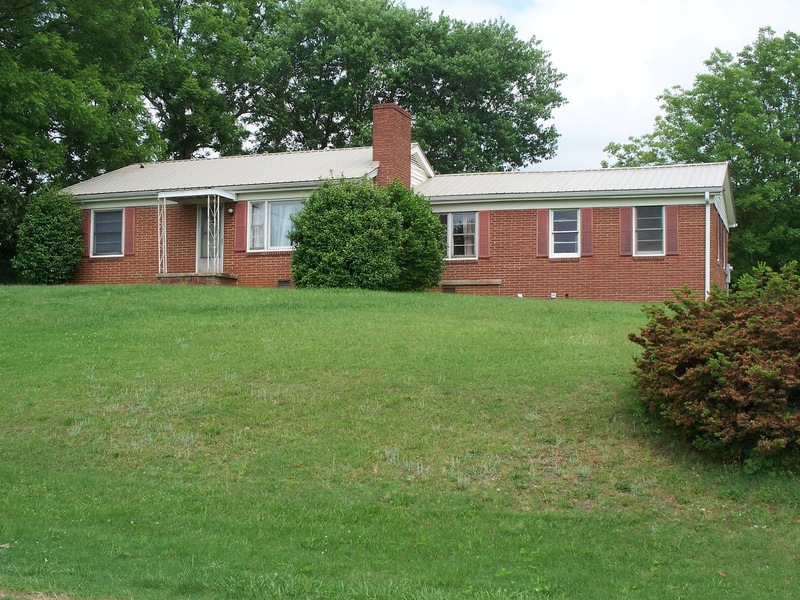 A survey conducted by the National Association of Home Builders found that many people prefer a single-story ranch-style home to a two-story dwelling. 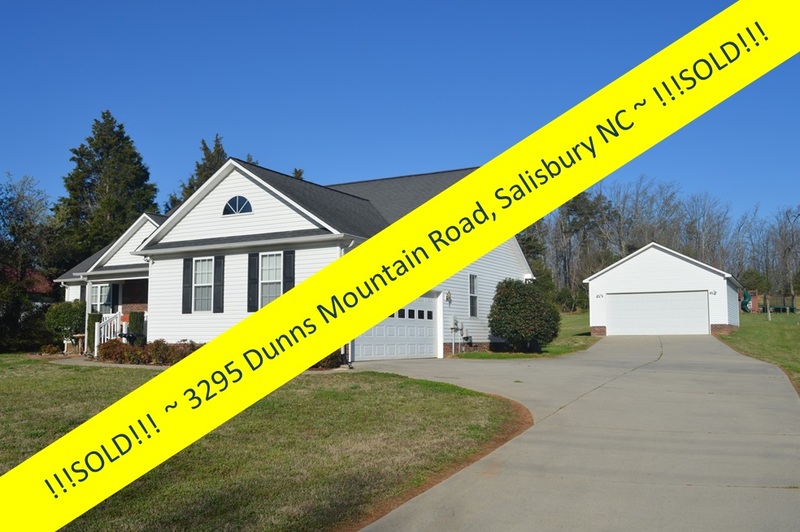 The single story living at 109 Tall Pine Circle means the only stairs in the home lead down to the basement and garage, and its open and airy interior makes cleaning easier. 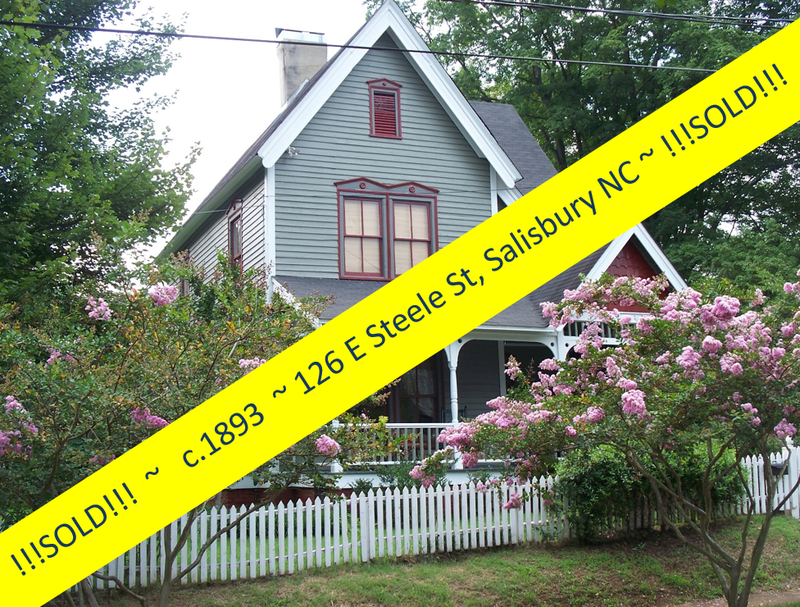 story, Rambler~style home is something you think you’d like in your next home, this house is not to be missed! 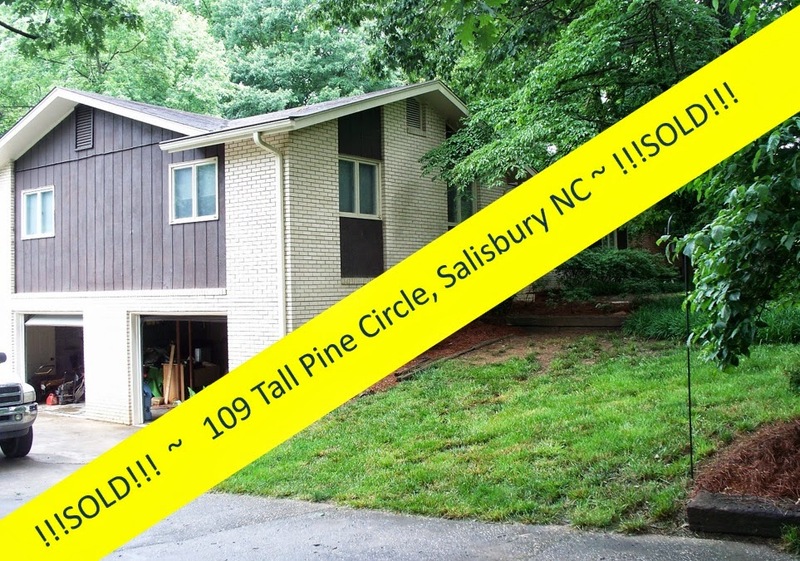 With taxes at only $1,627 annually, 109 Tall Pine Circle is move-in ready, shining with modern updates, and just truly a beautiful home on a great lot with mature shade trees cooling the home from the warm Carolina summers. 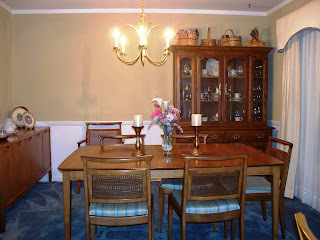 Need to see this for yourself? 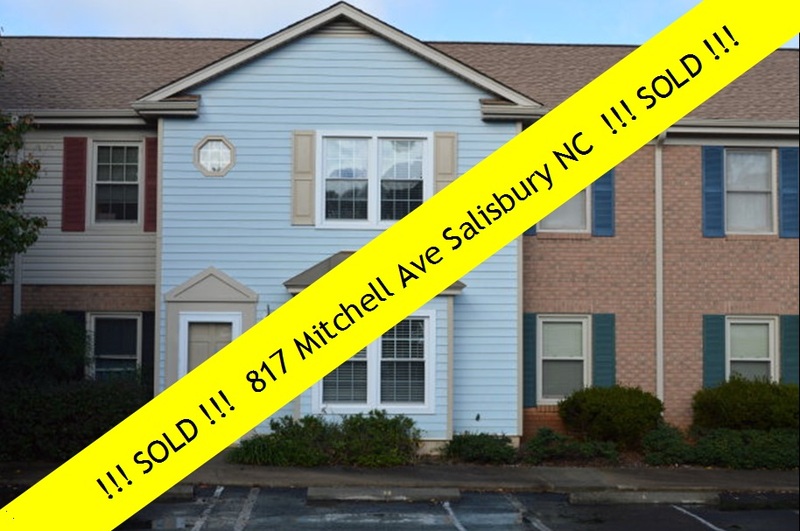 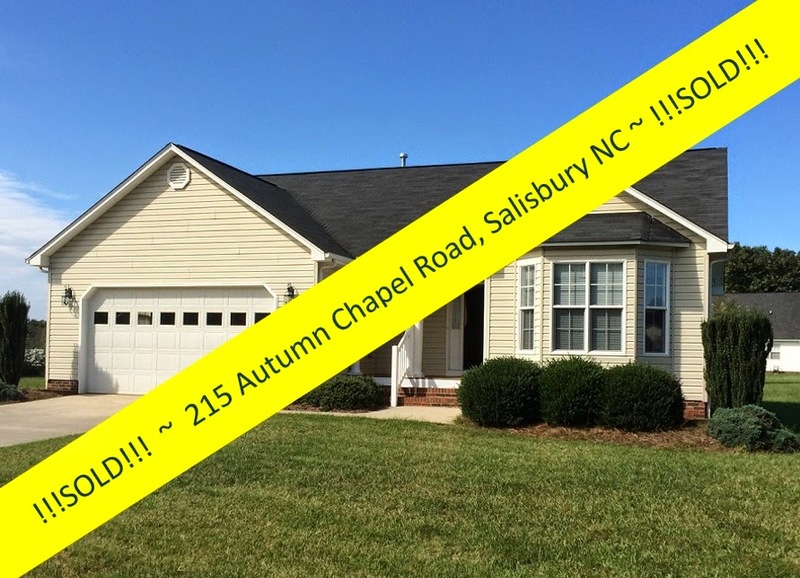 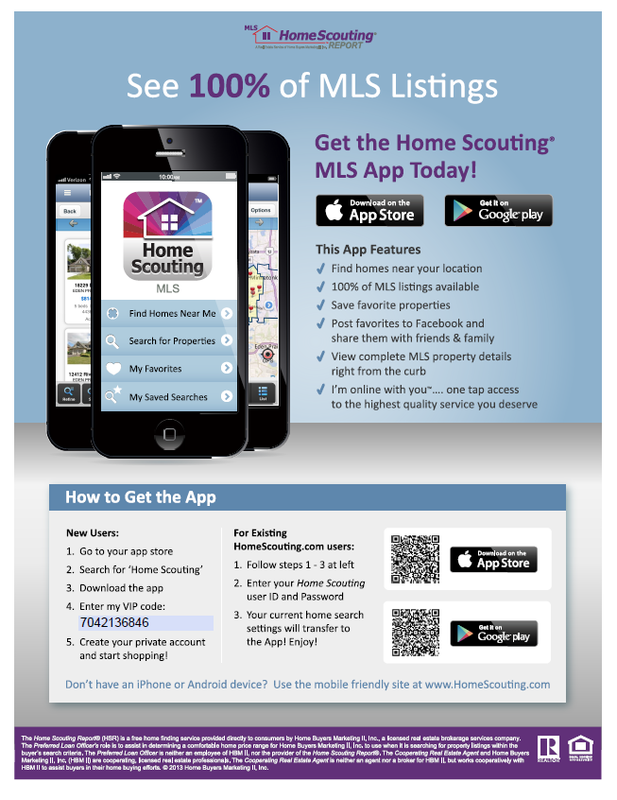 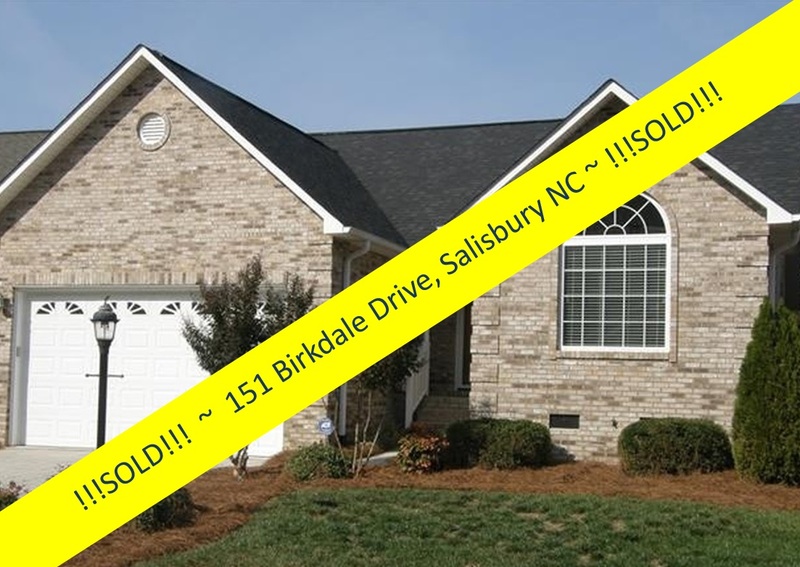 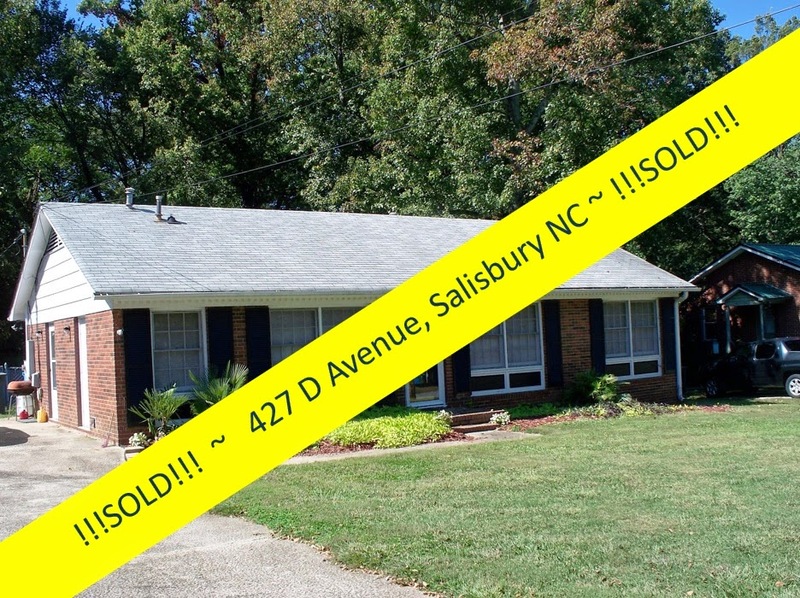 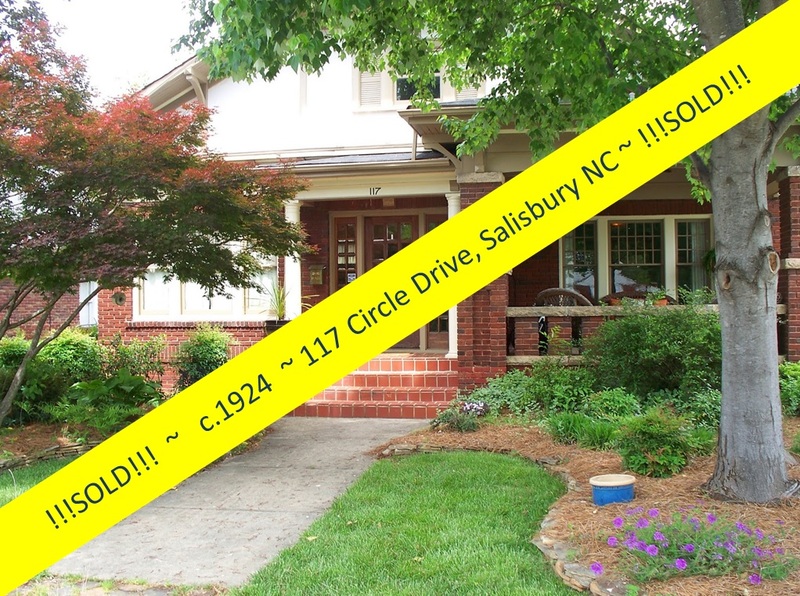 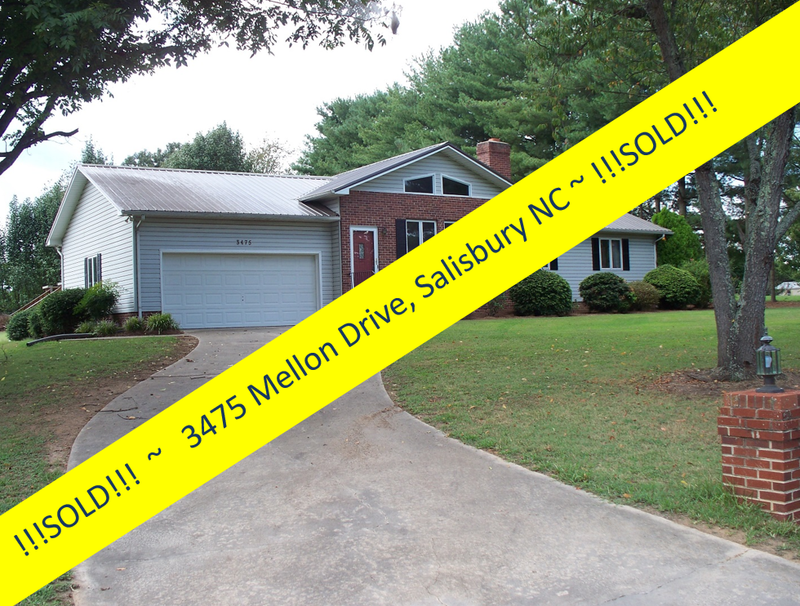 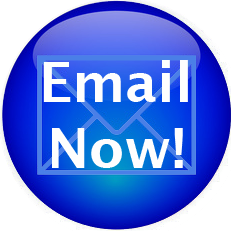 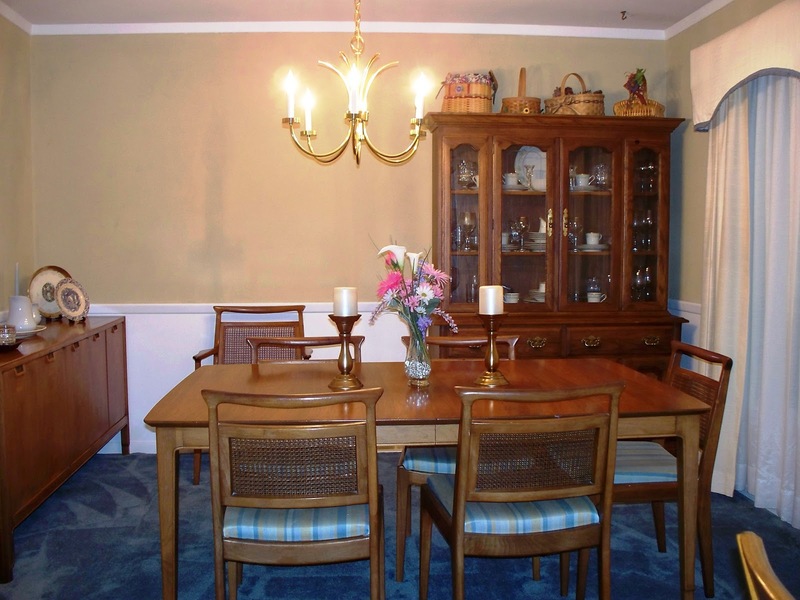 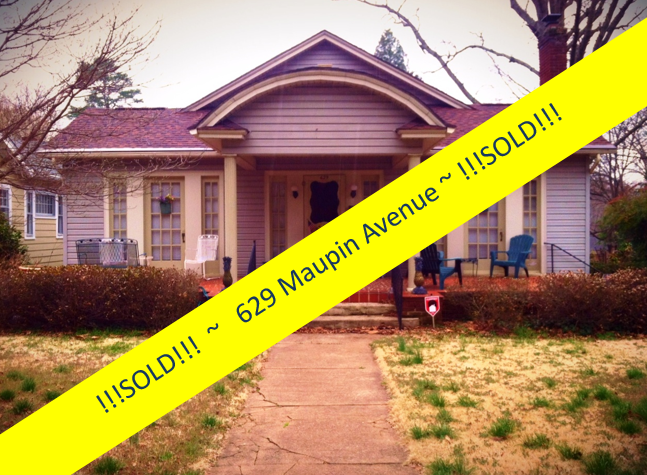 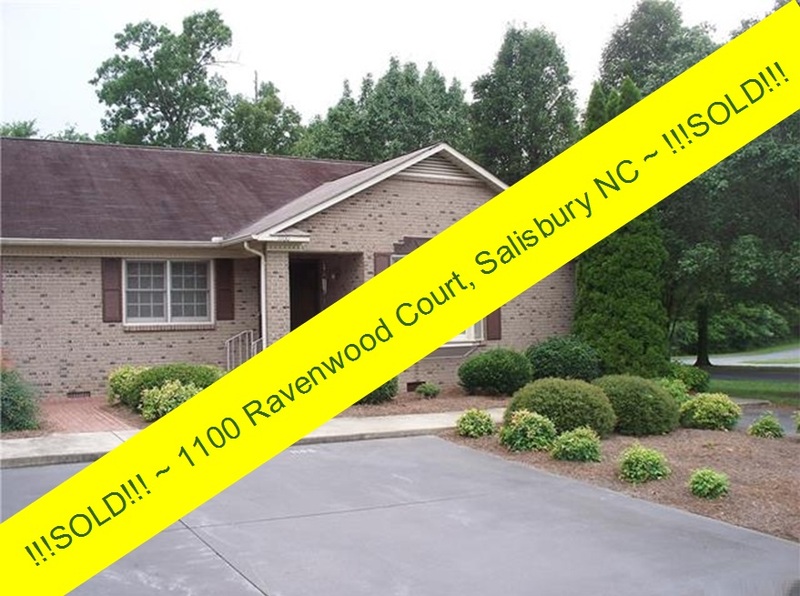 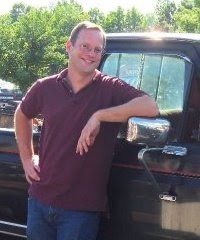 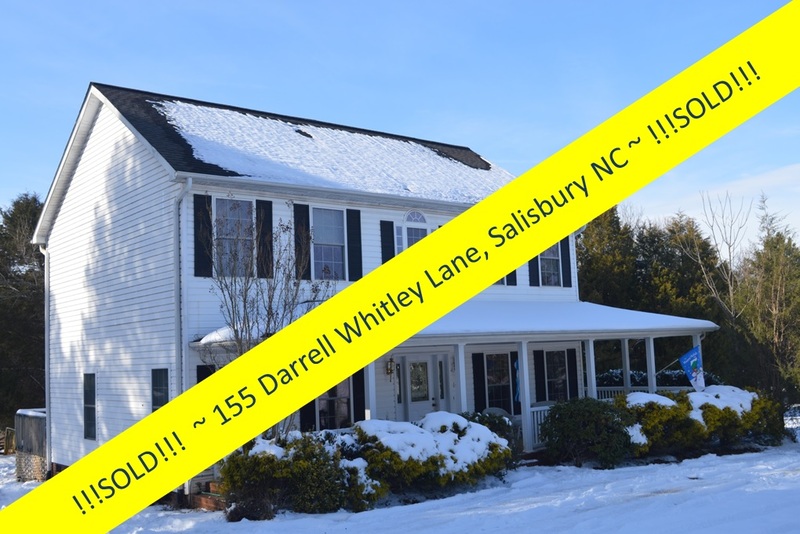 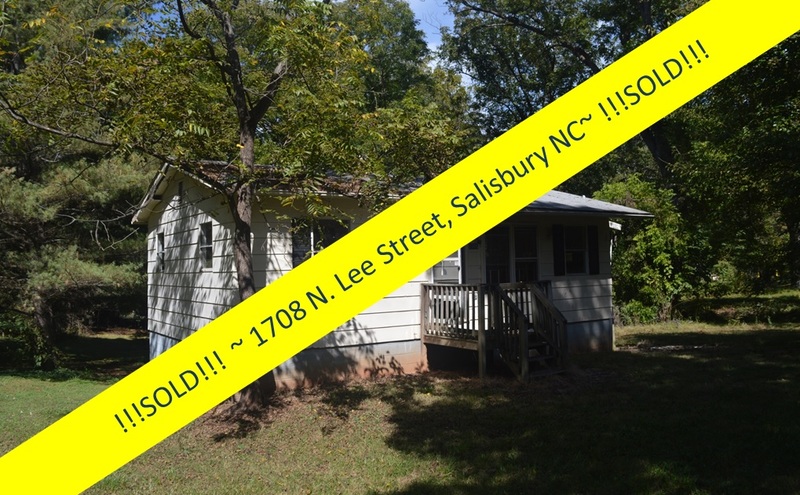 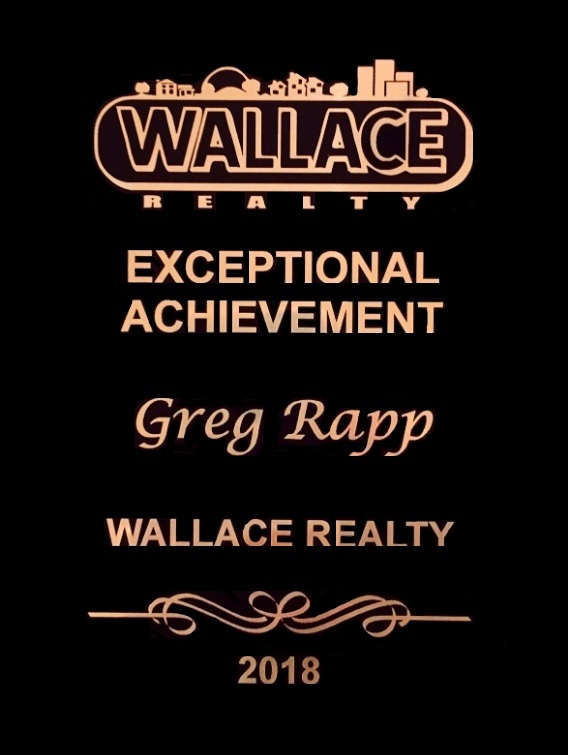 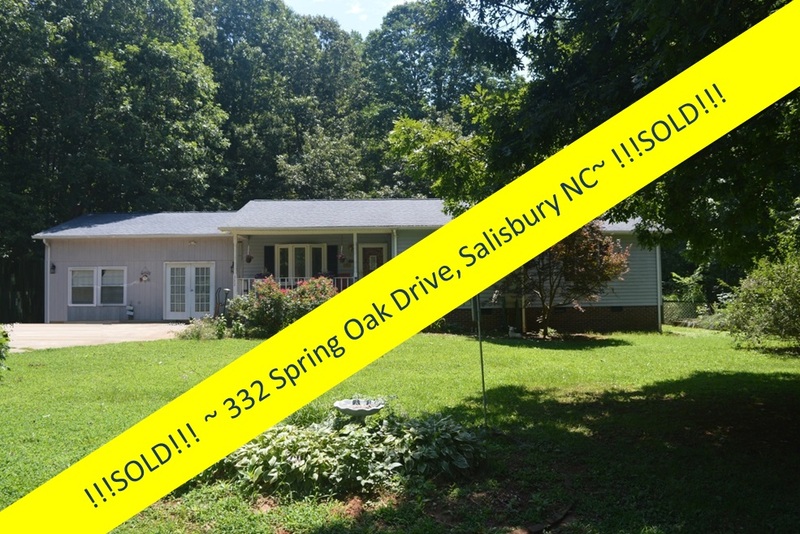 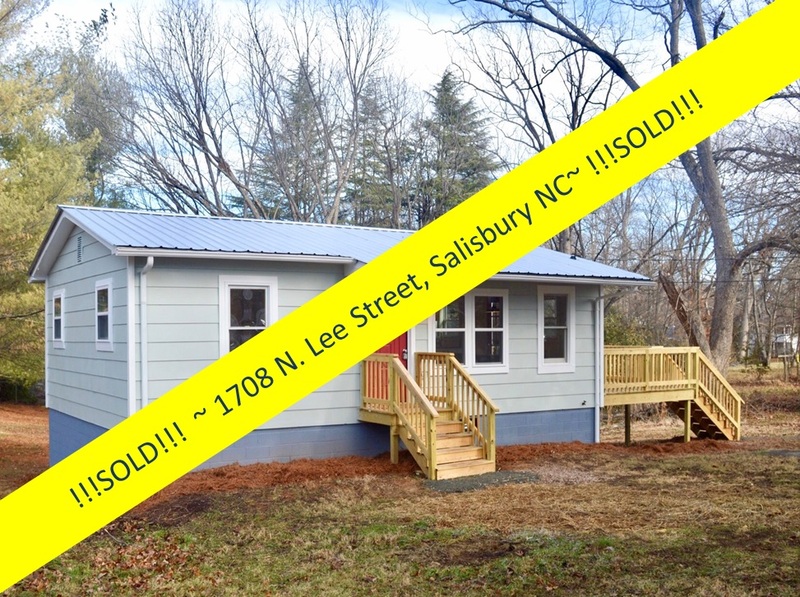 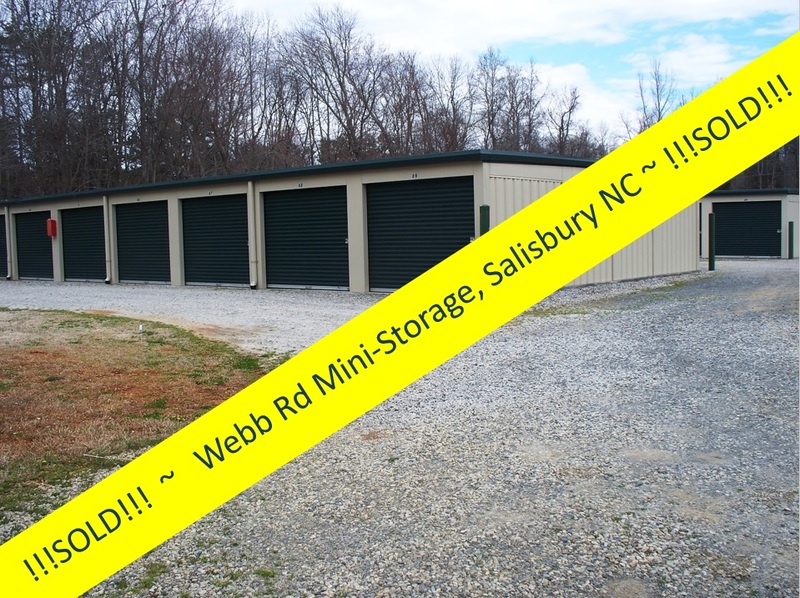 Give Salisbury Real Estate Agent Greg Rapp a call at 704.213.6846. 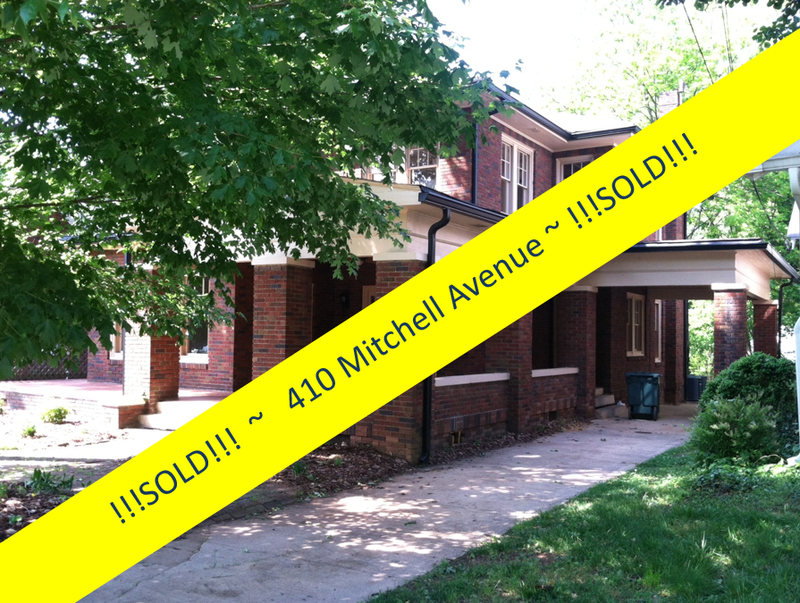 You may be the new owner of this uncomplicated, clean-design home ~ ready for your personal touches!